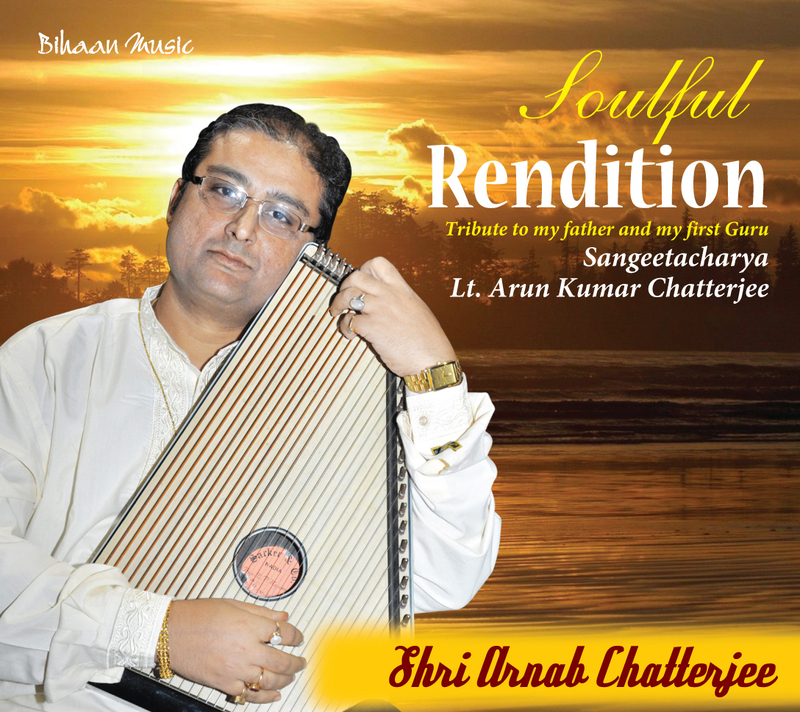 Sandip Bhattacharjee initiated his training under his mother Smt.Krishna Bhattacharjee at the age of four and continued his talim under Smt. 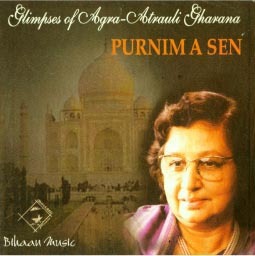 Amita Dasgupta. 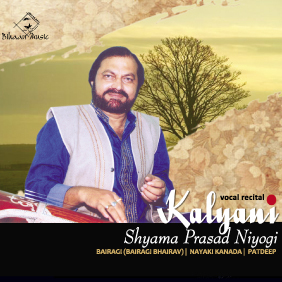 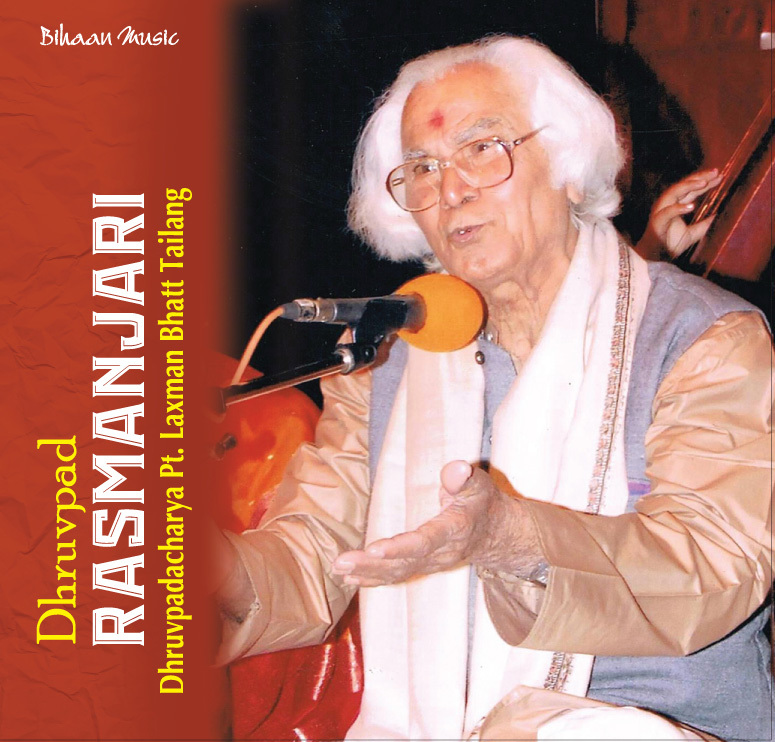 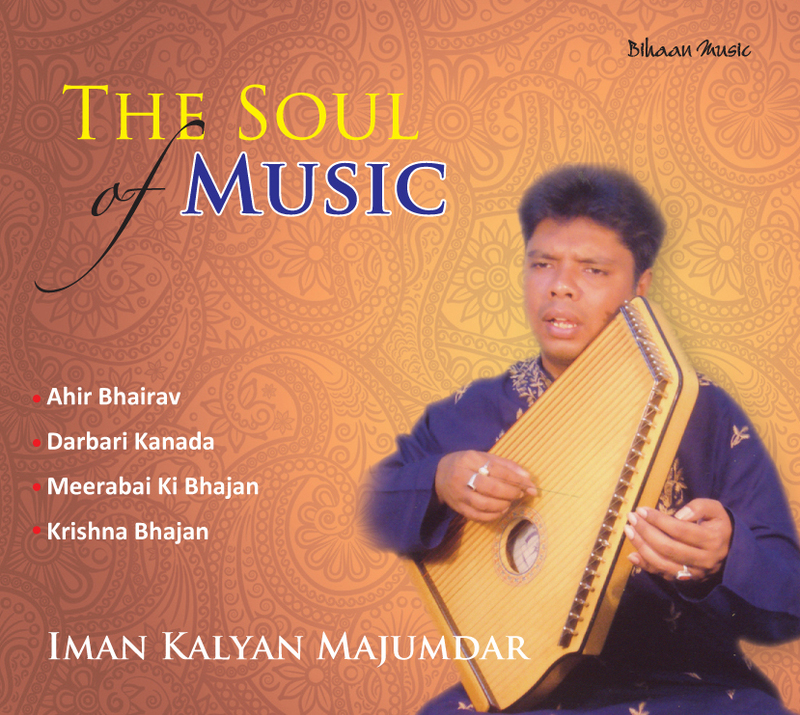 He became Senior residential scholar at the ITC Sangeet Research Academy Under the able Guidance of Ustad Mashkoor Ali Khan & Ustad Mubarak Ali Khan, the guru of Kirana Gharana from May 2002. 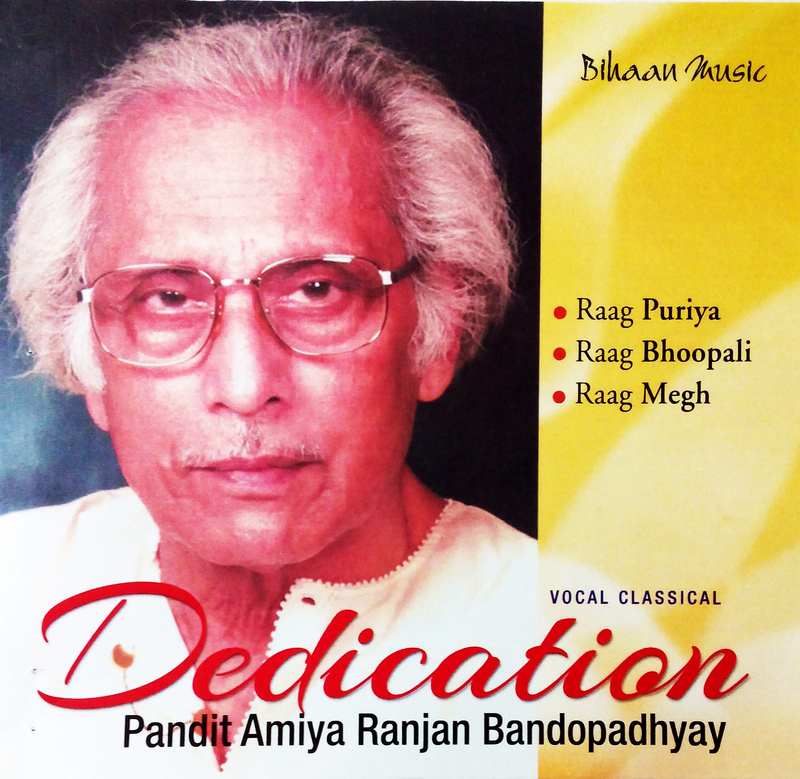 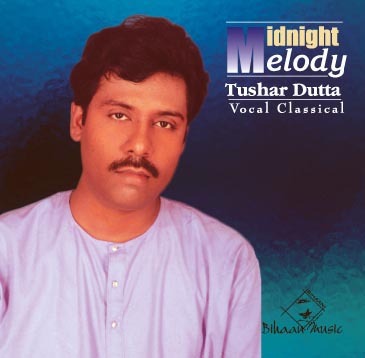 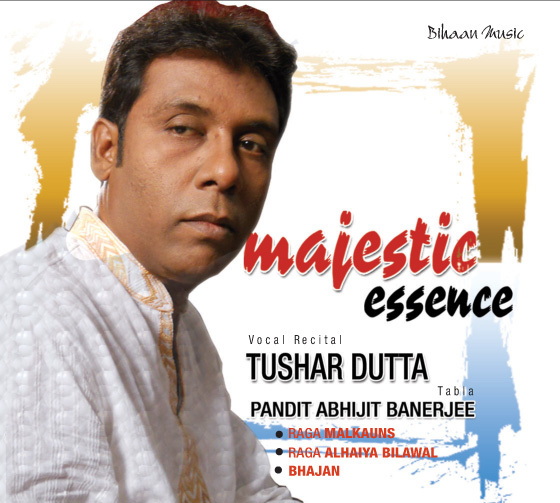 He secured the second position at All India Radio Music Competition (1999) in Khayal besides standing First at the West Bengal State Music Competition 2001 in Bhajan. 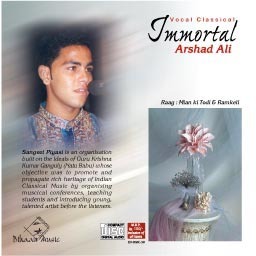 He was also a recipient National Talent Search Scholarship, Govt. 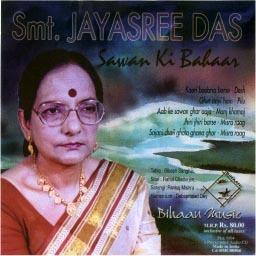 of India in 2000. 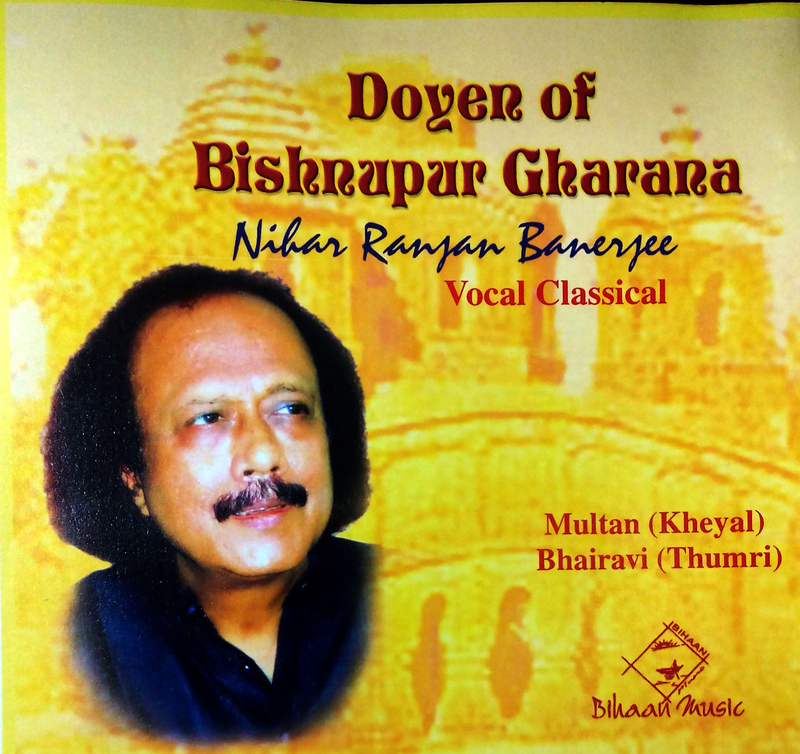 An “A” Grade Performer of All India Radio, Doordarshan. 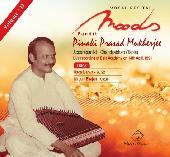 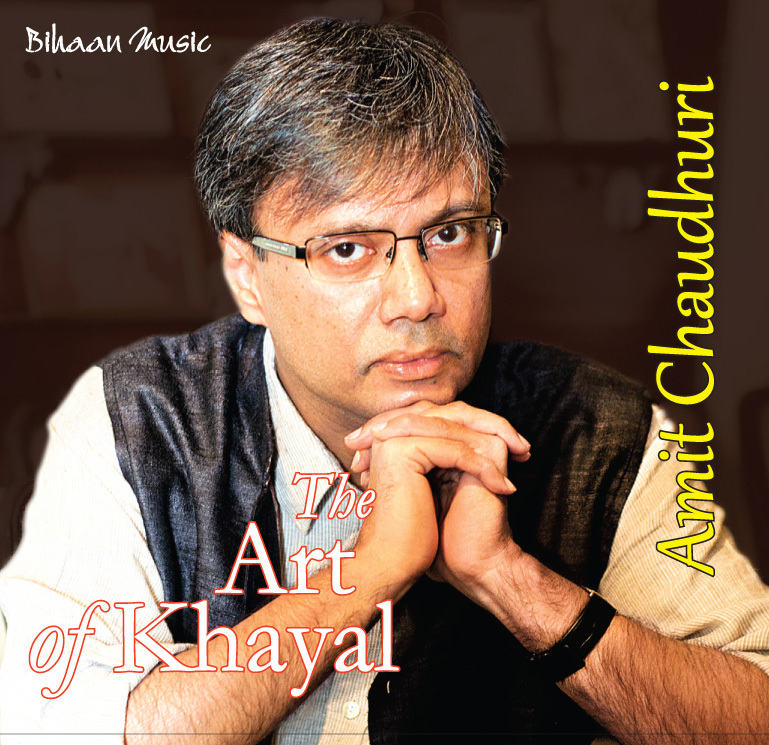 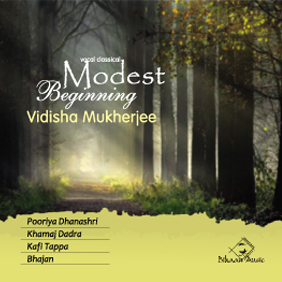 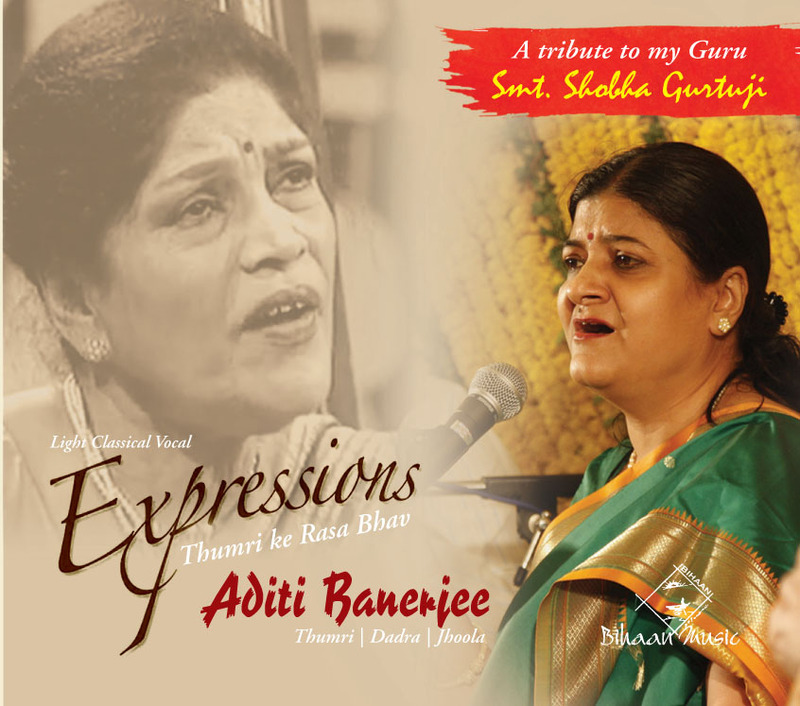 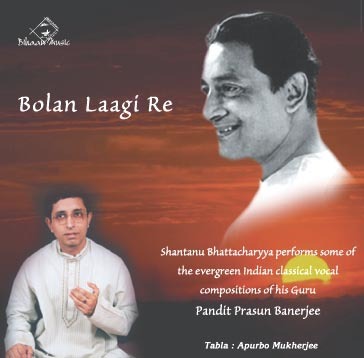 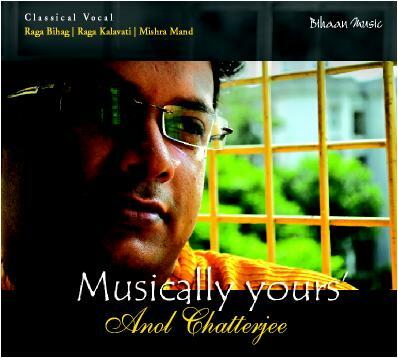 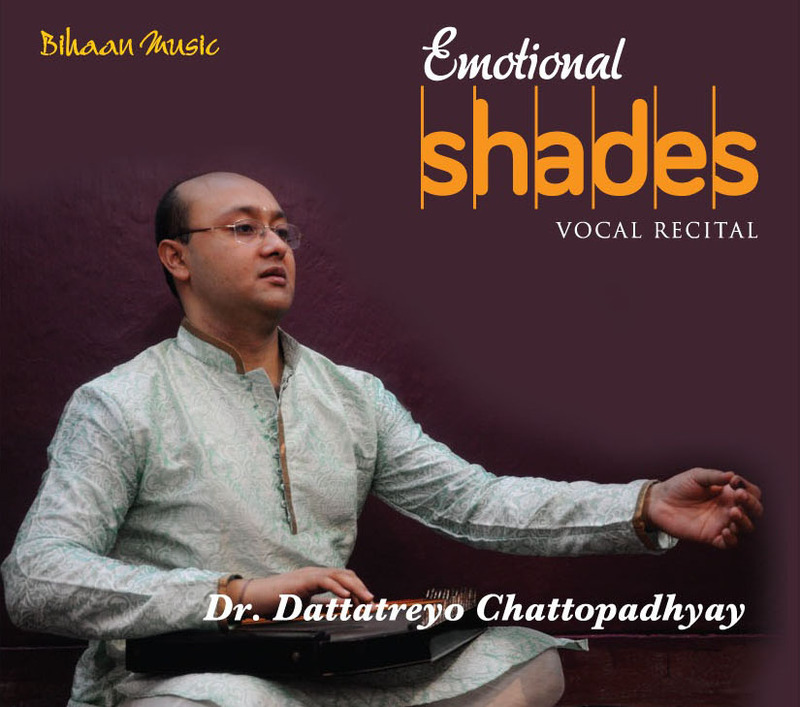 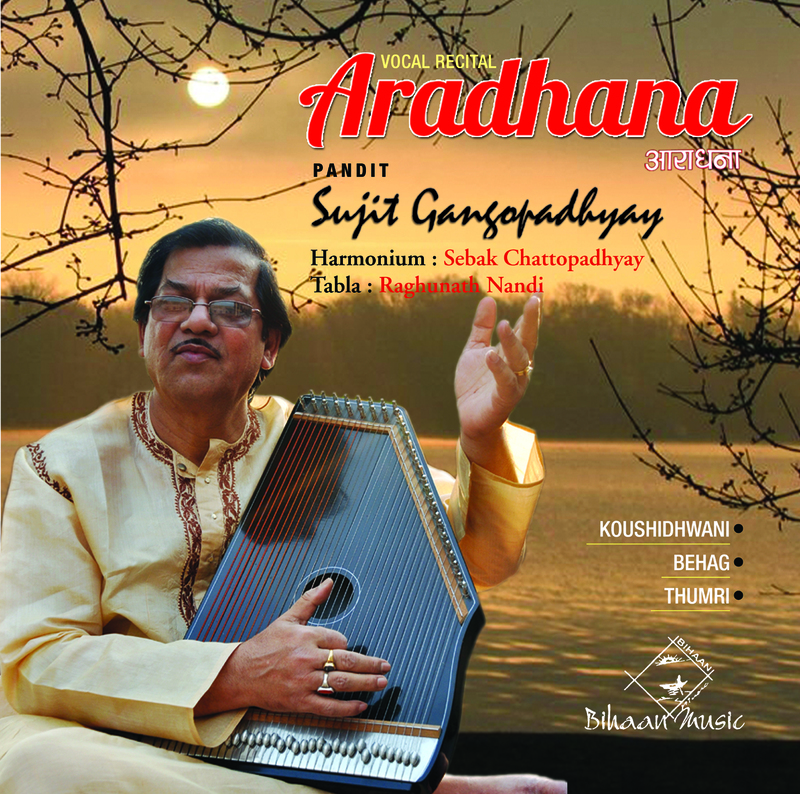 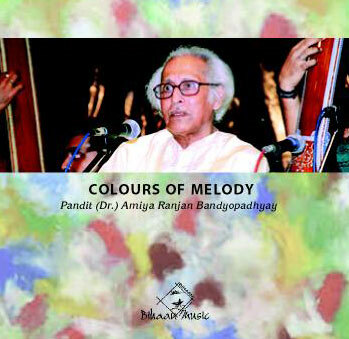 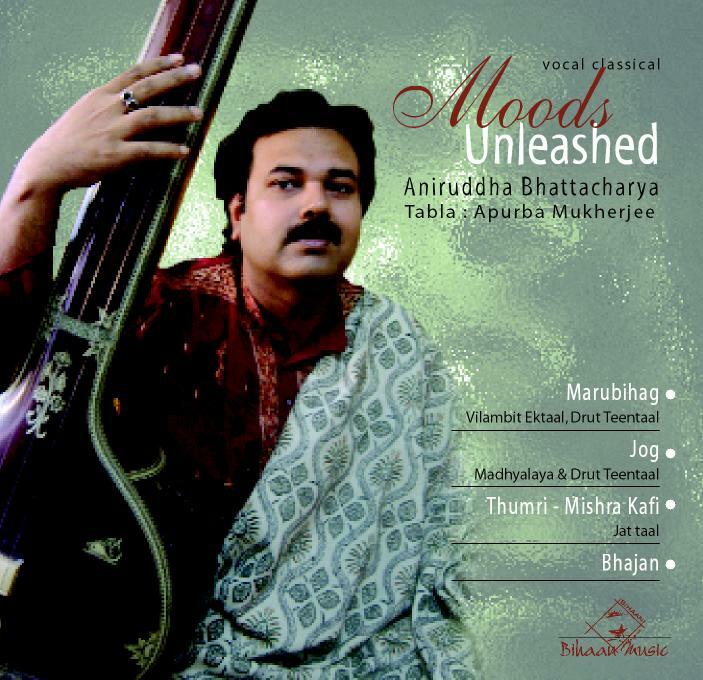 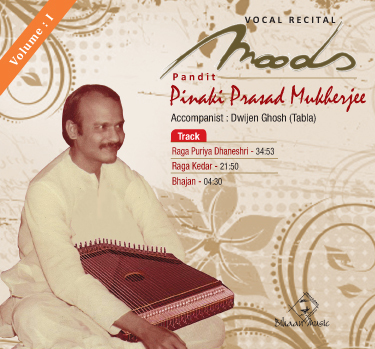 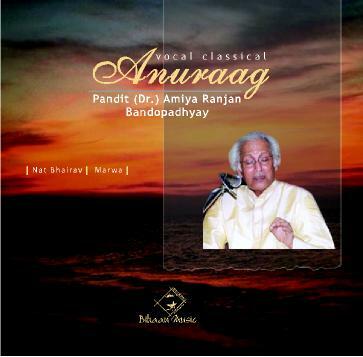 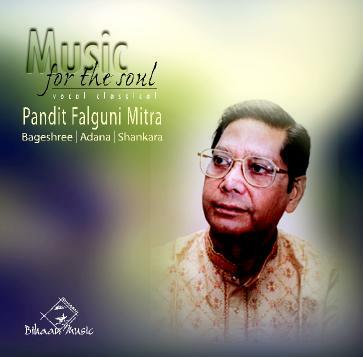 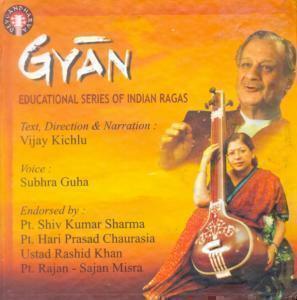 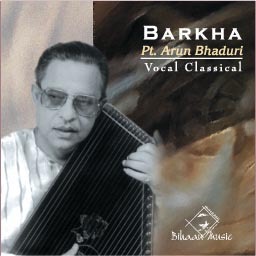 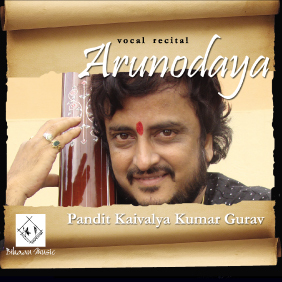 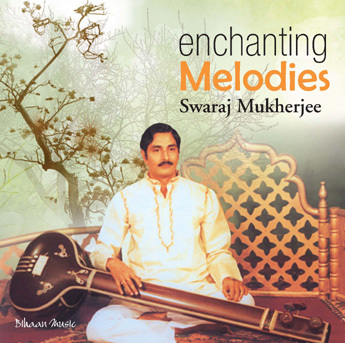 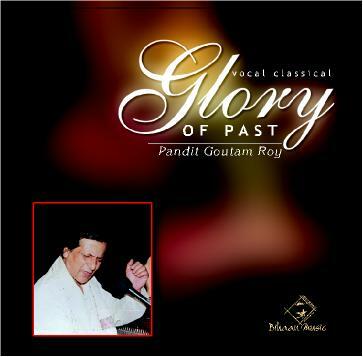 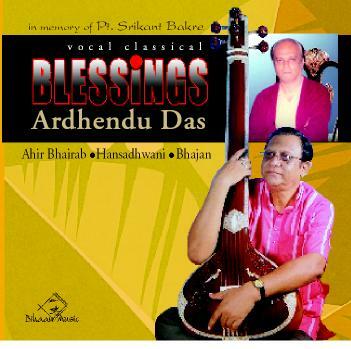 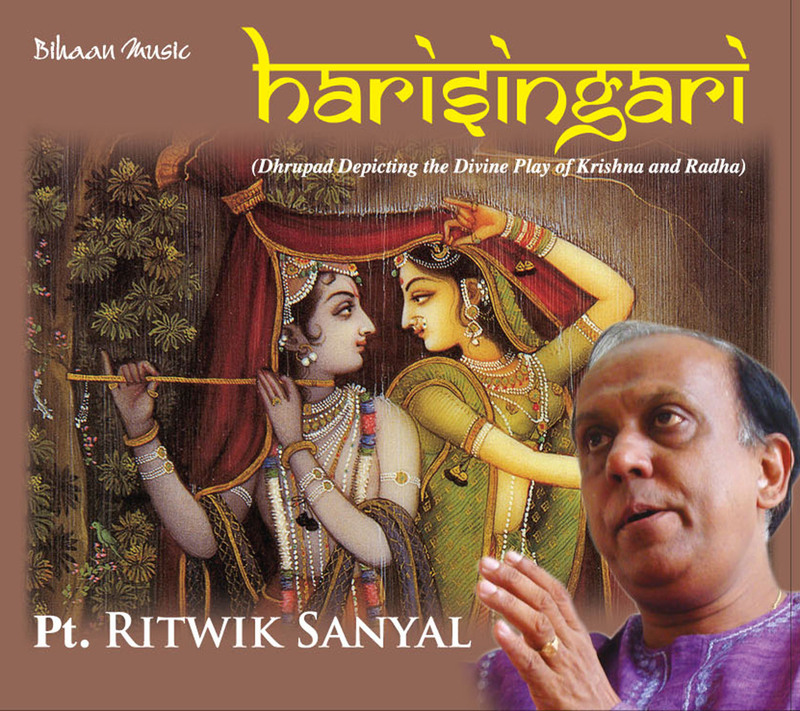 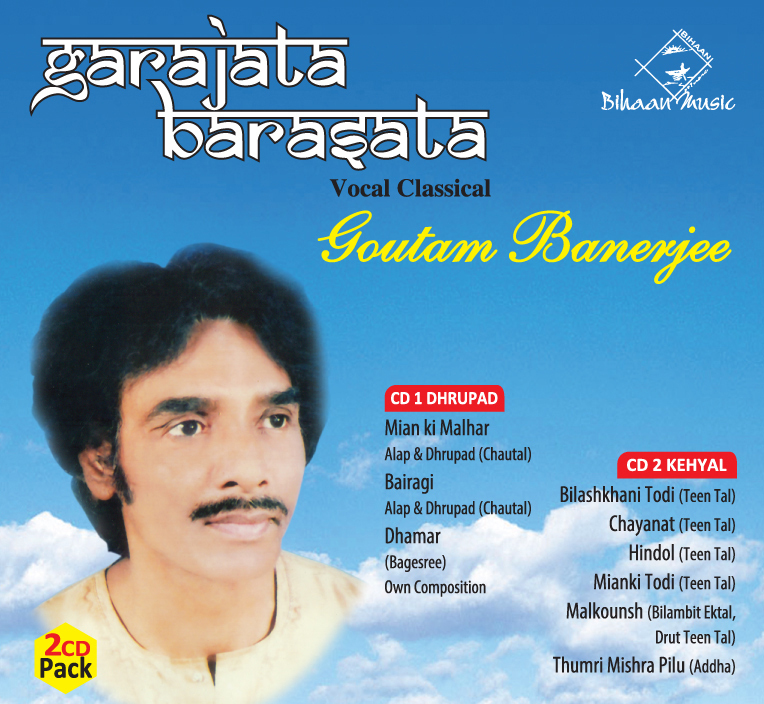 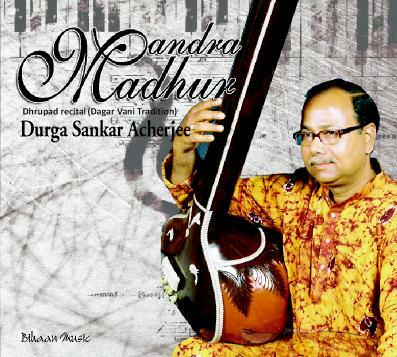 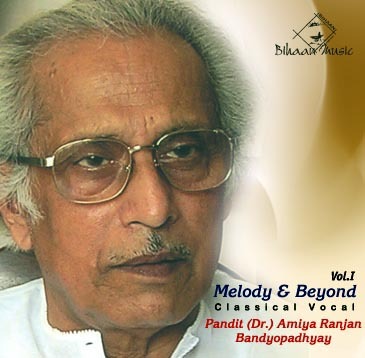 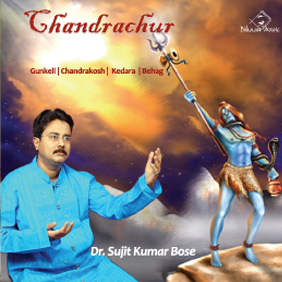 Now He is a Senior Musician Scholar at the ITC Sangeet Research Academy, Tollygunge ,Kolkata. 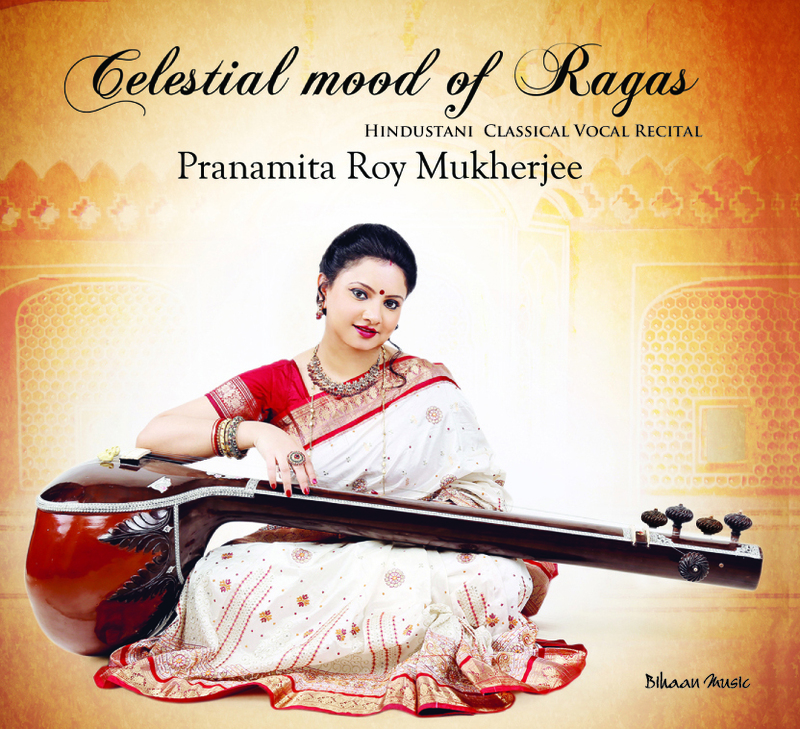 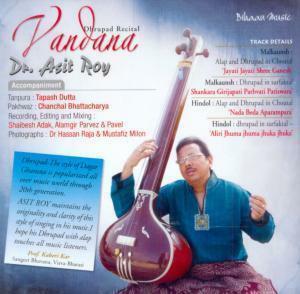 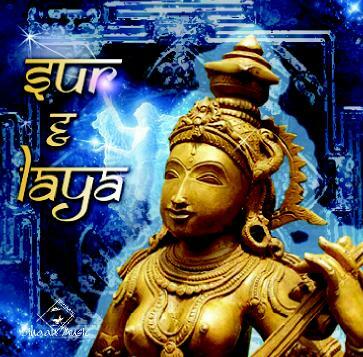 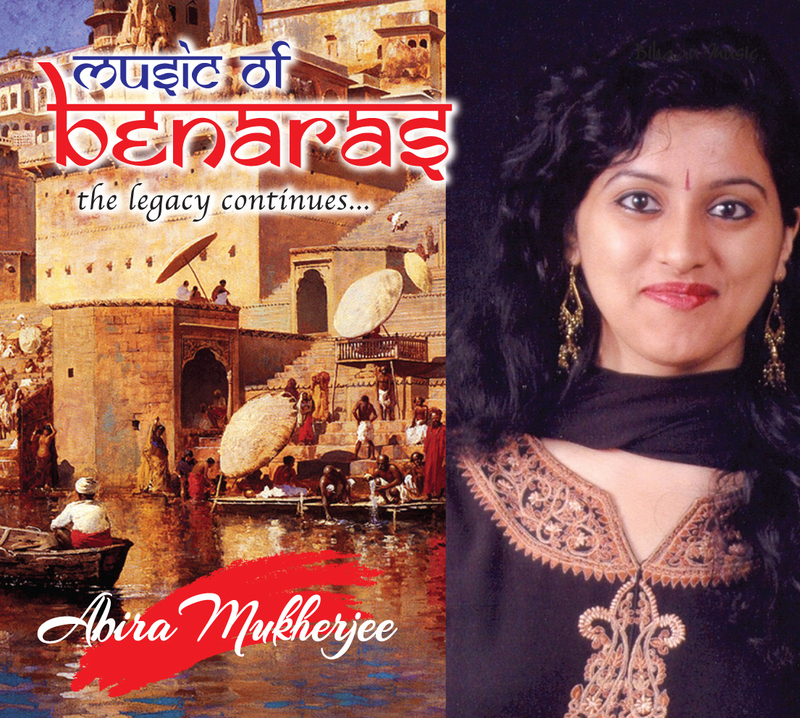 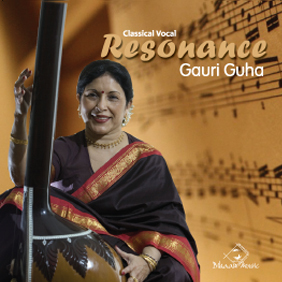 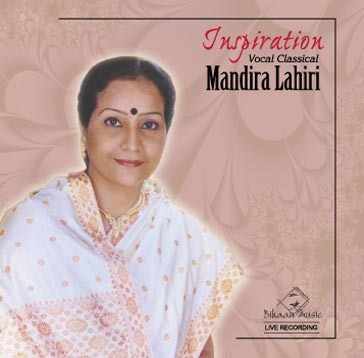 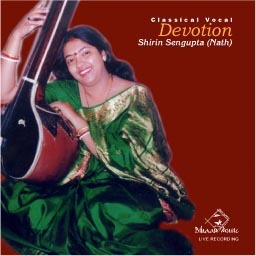 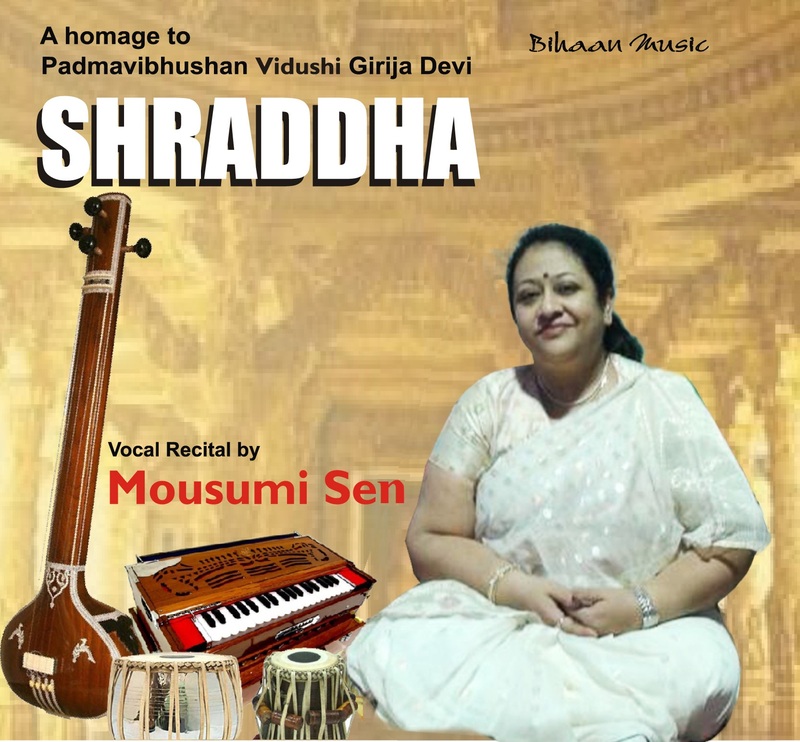 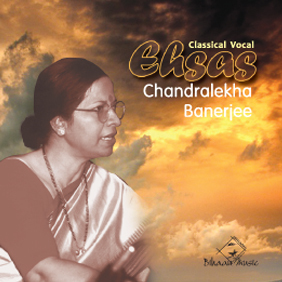 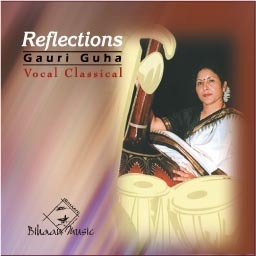 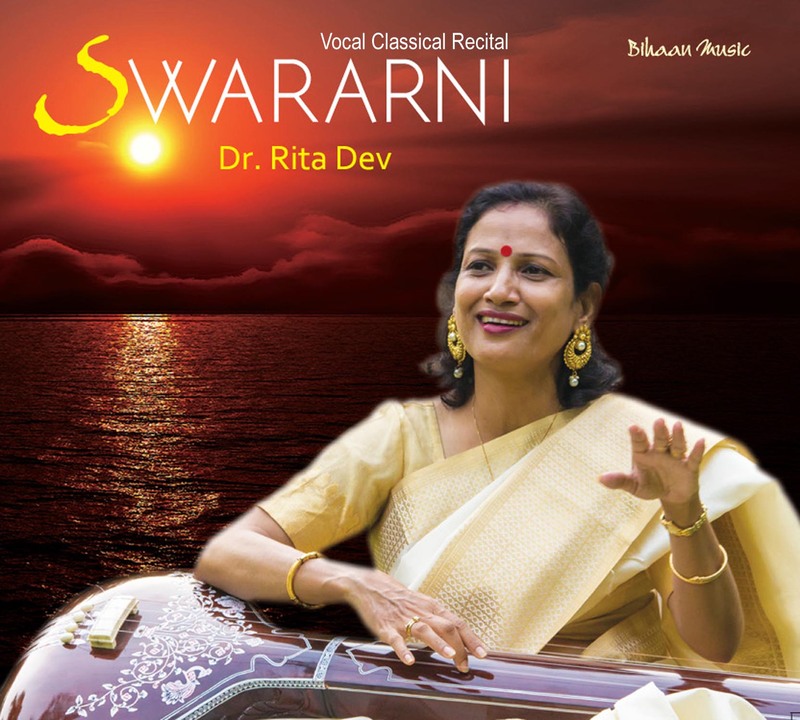 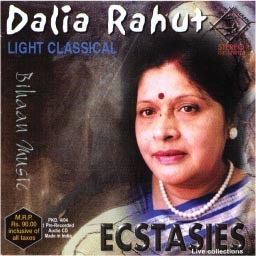 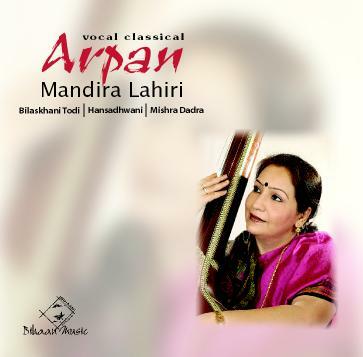 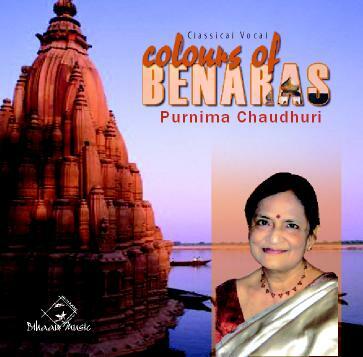 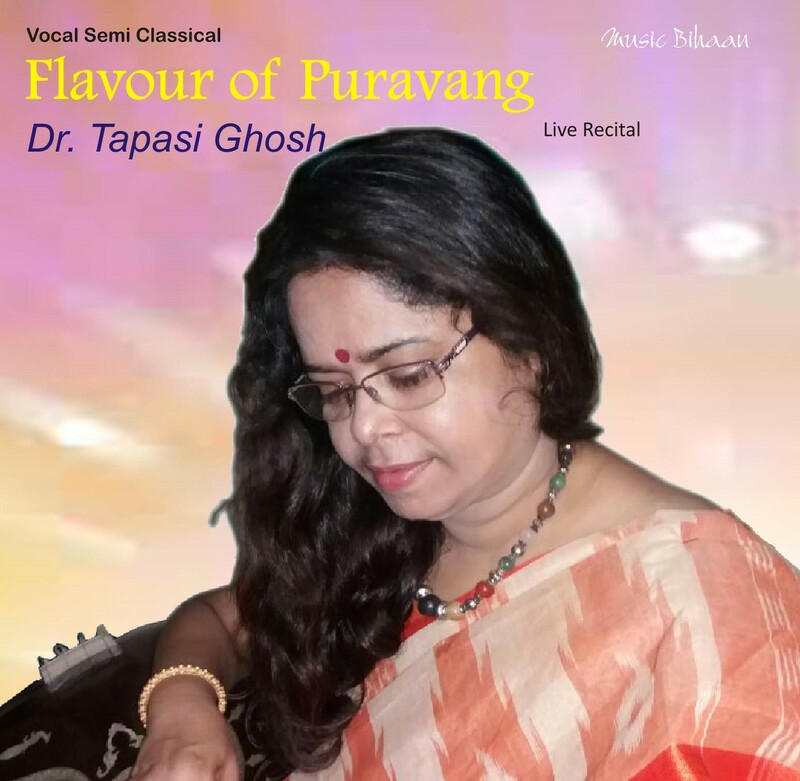 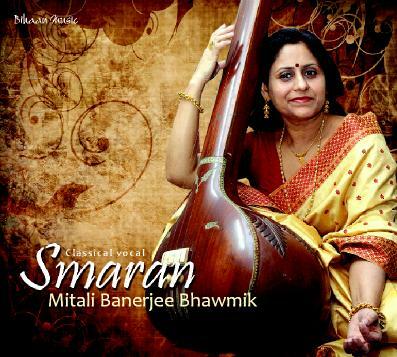 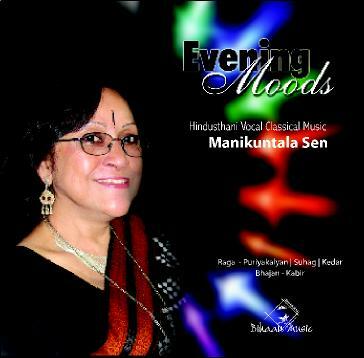 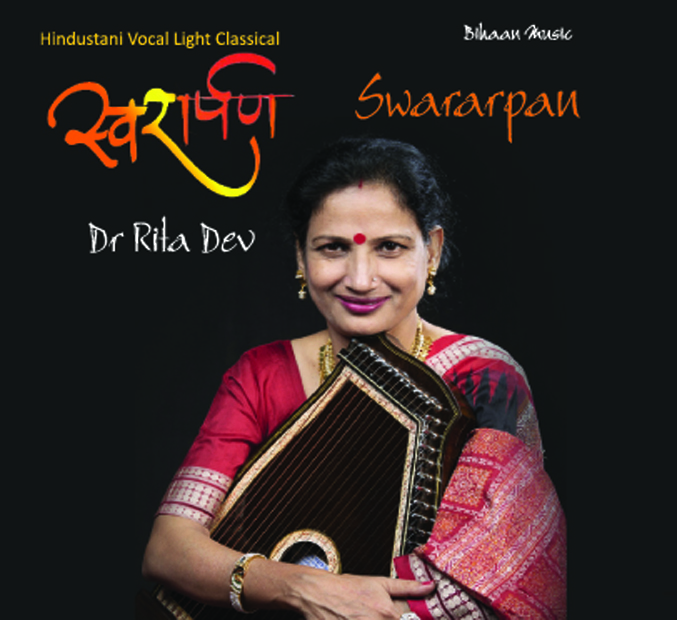 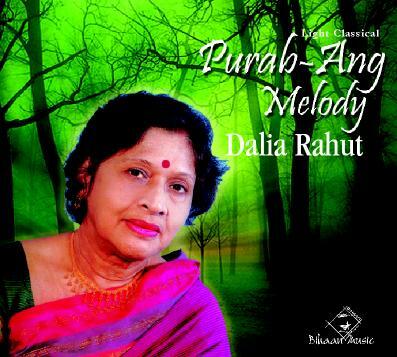 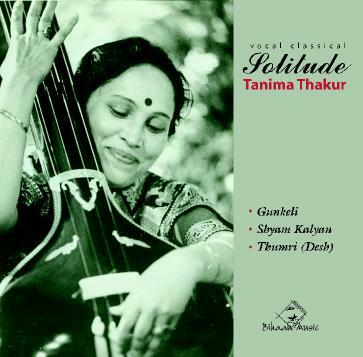 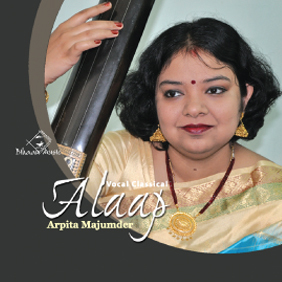 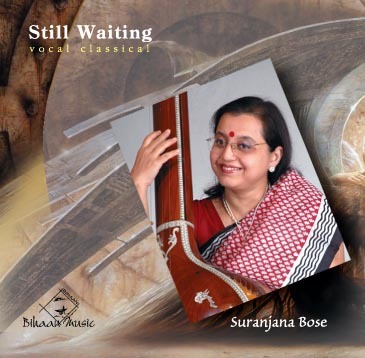 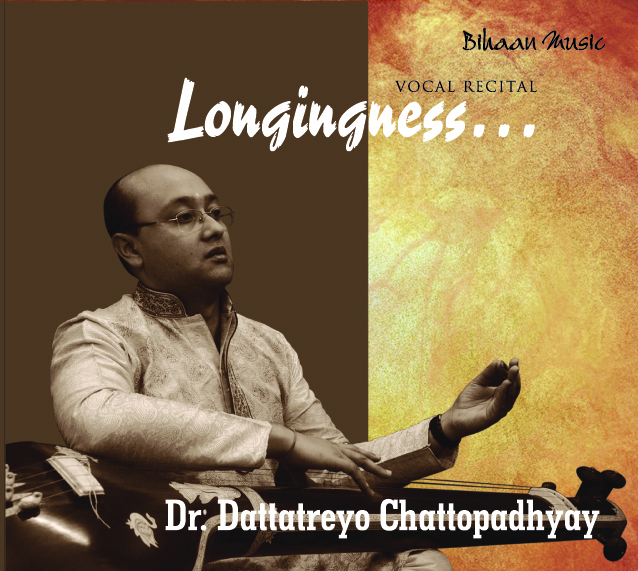 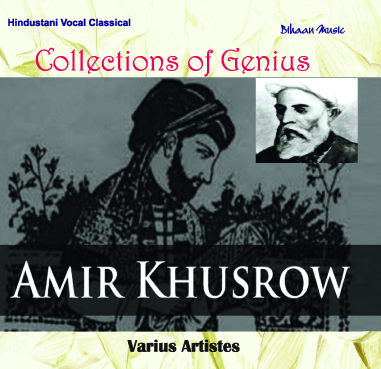 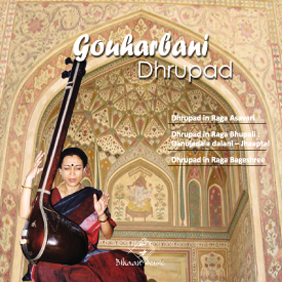 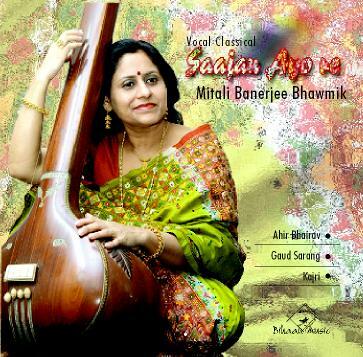 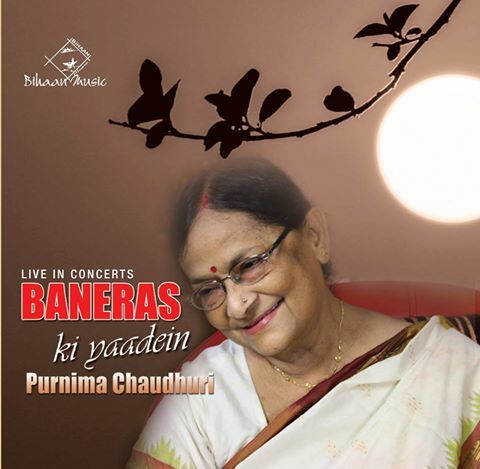 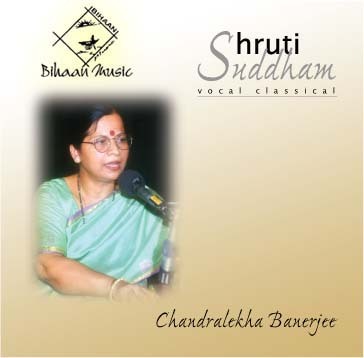 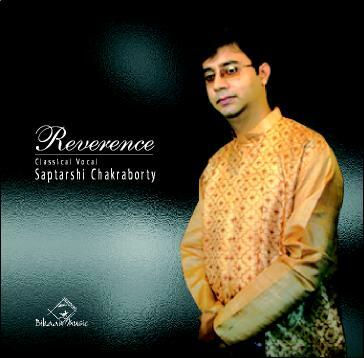 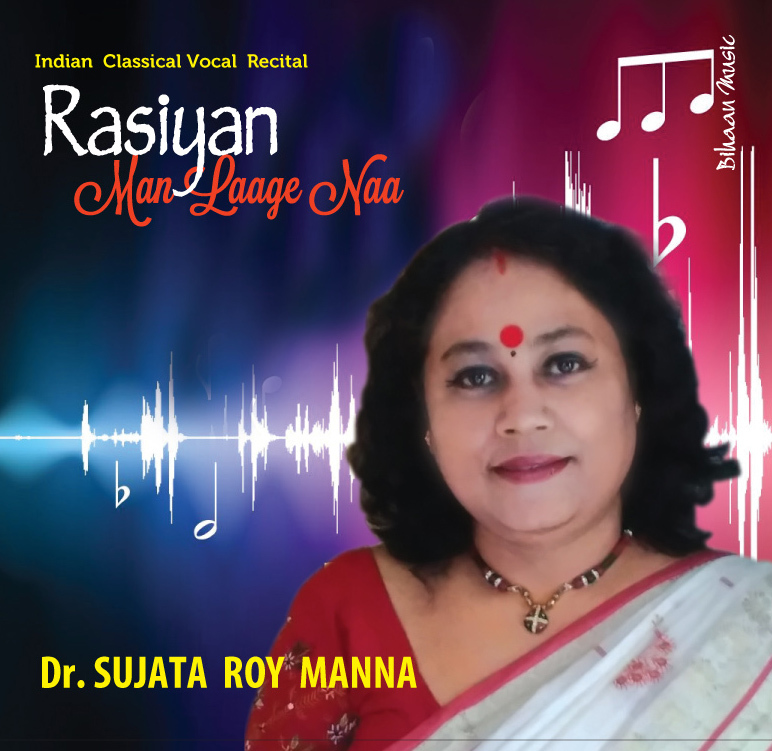 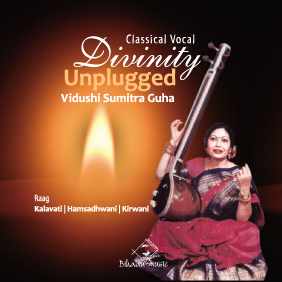 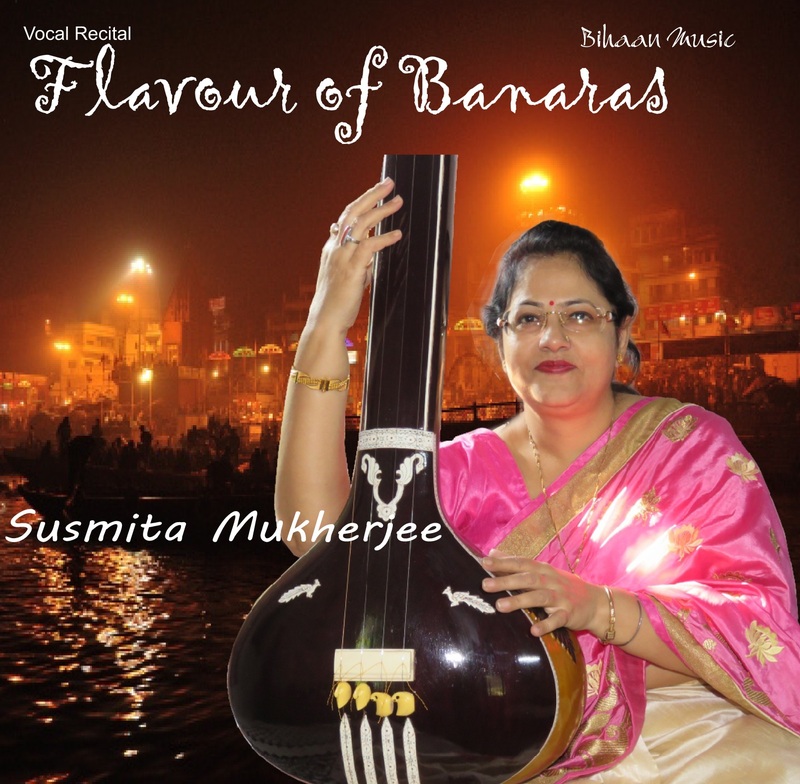 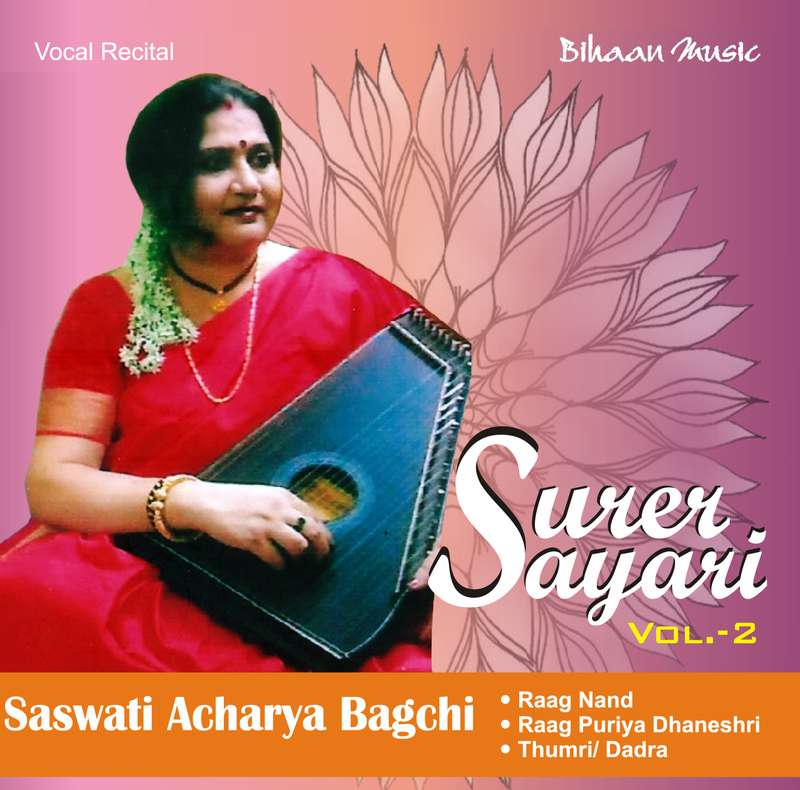 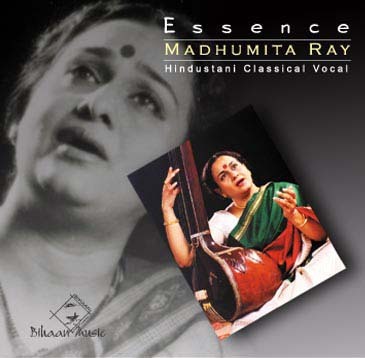 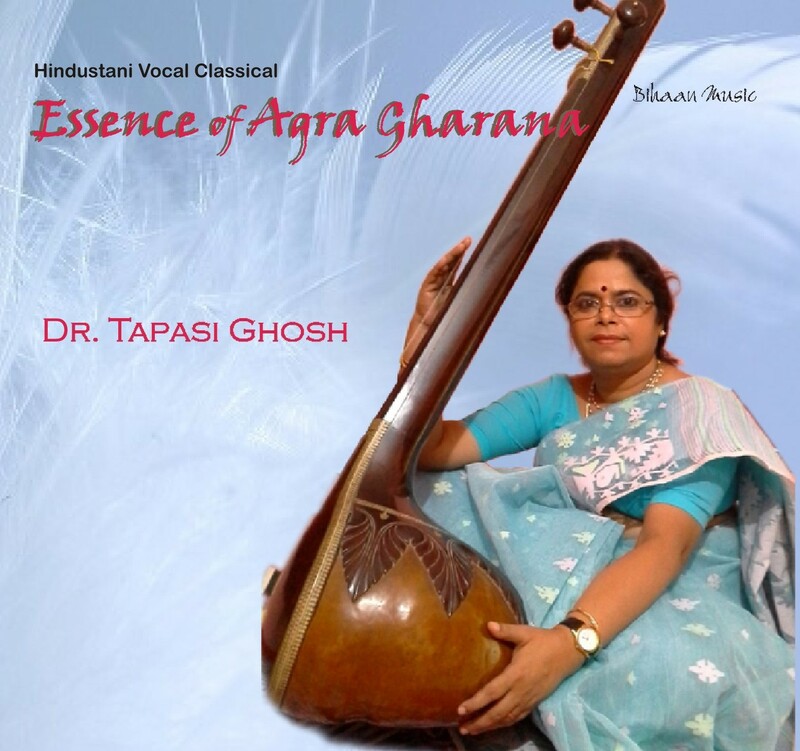 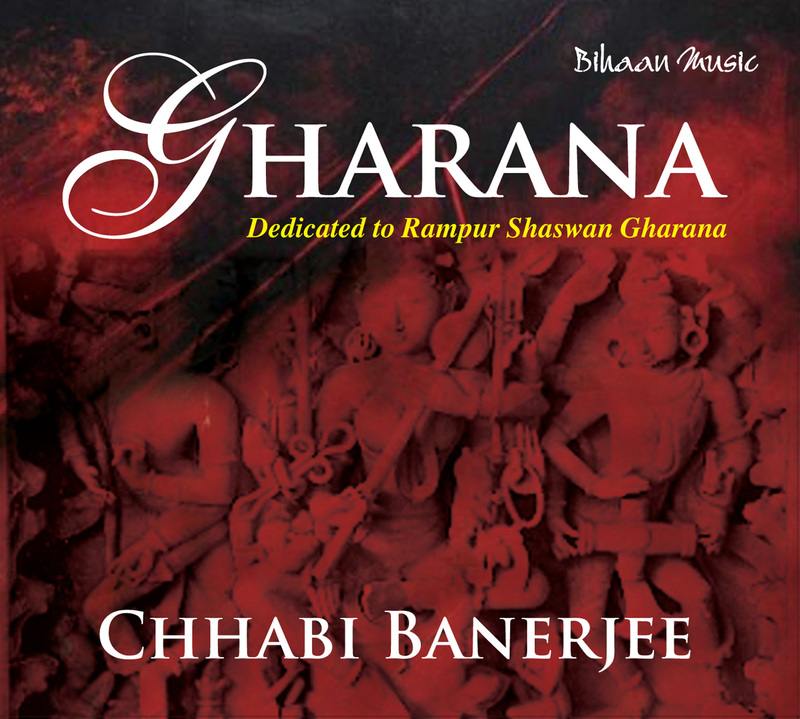 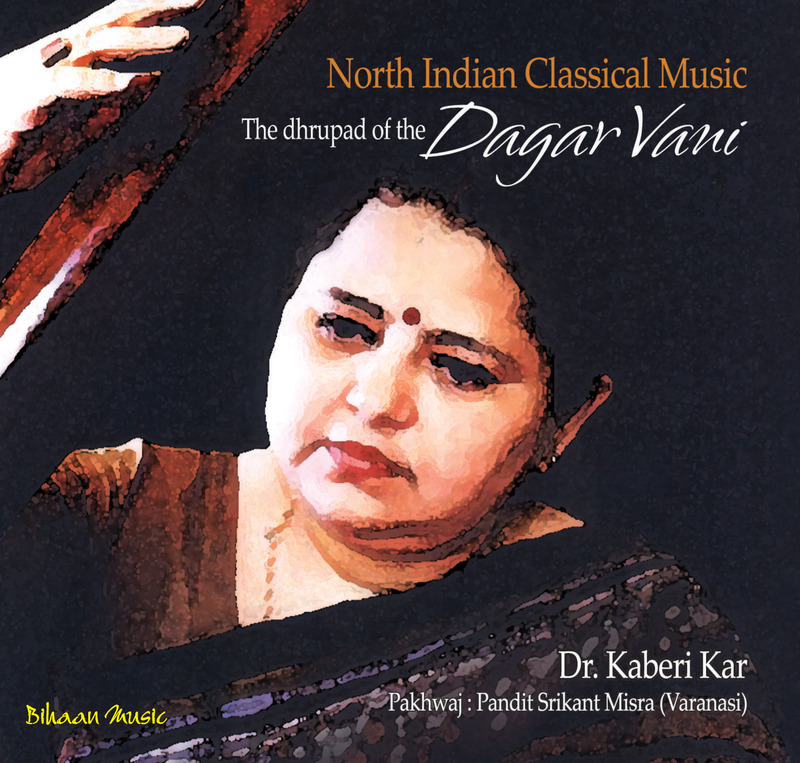 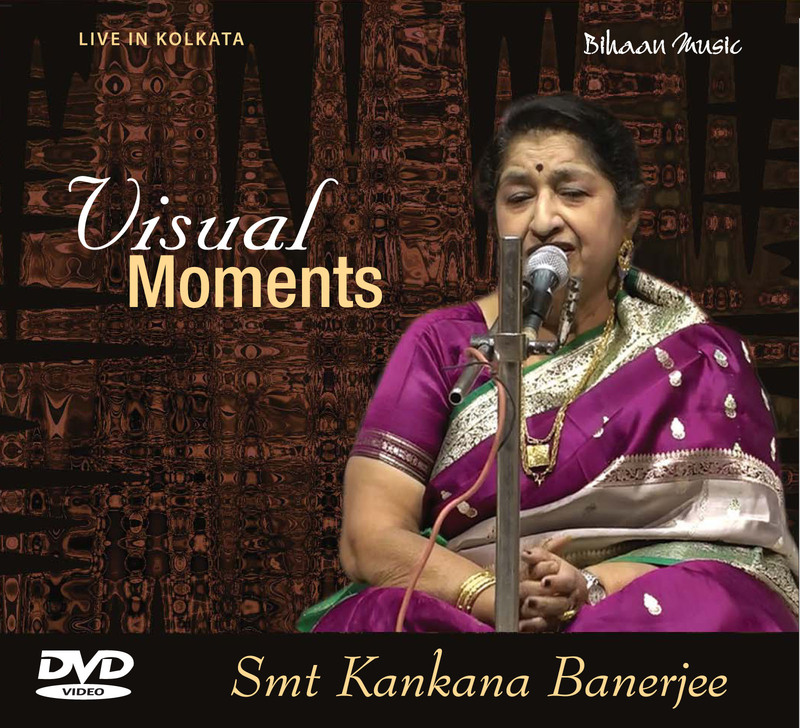 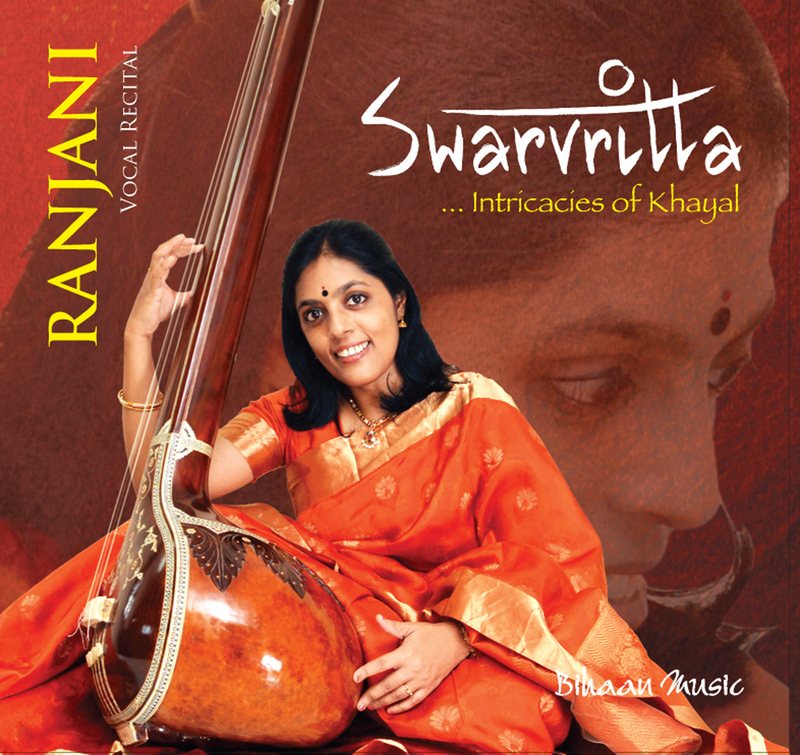 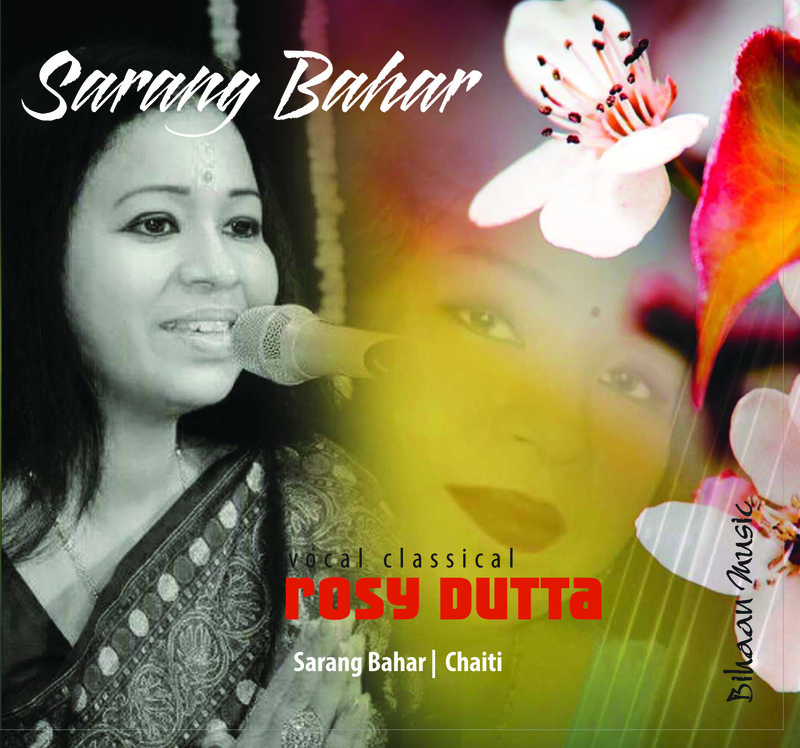 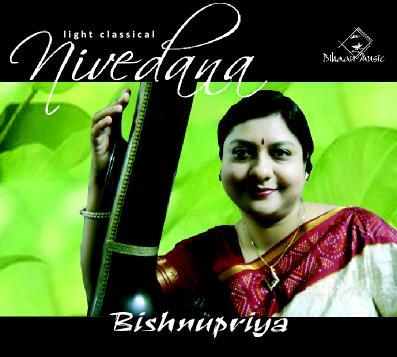 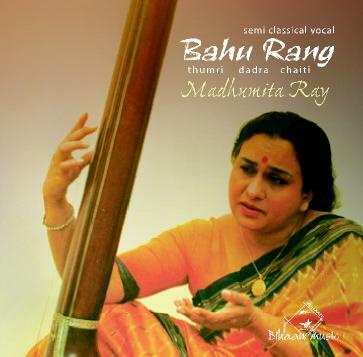 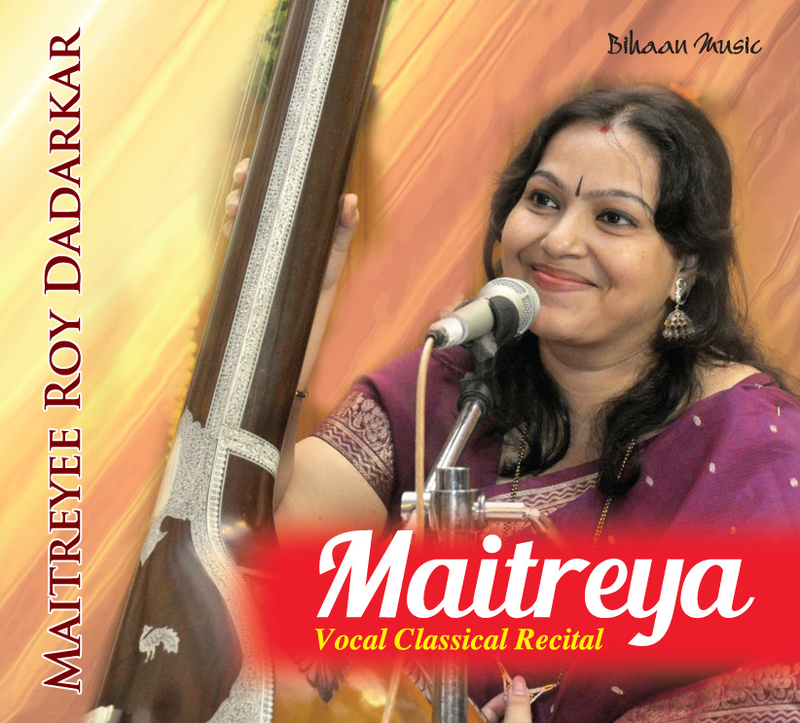 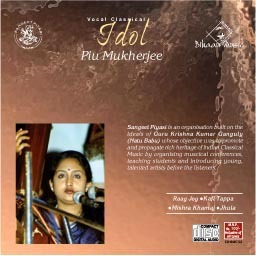 Apart from performing in various places In and around Kolkata, including the prestigious participation at Dover Lane Music Conference in Nazrul Manch, Jan2009. 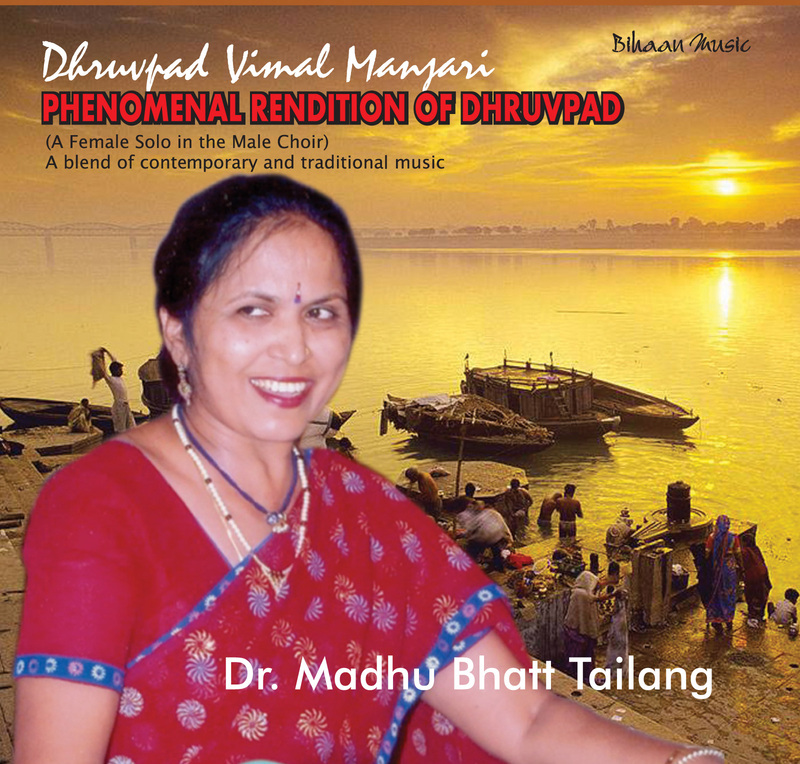 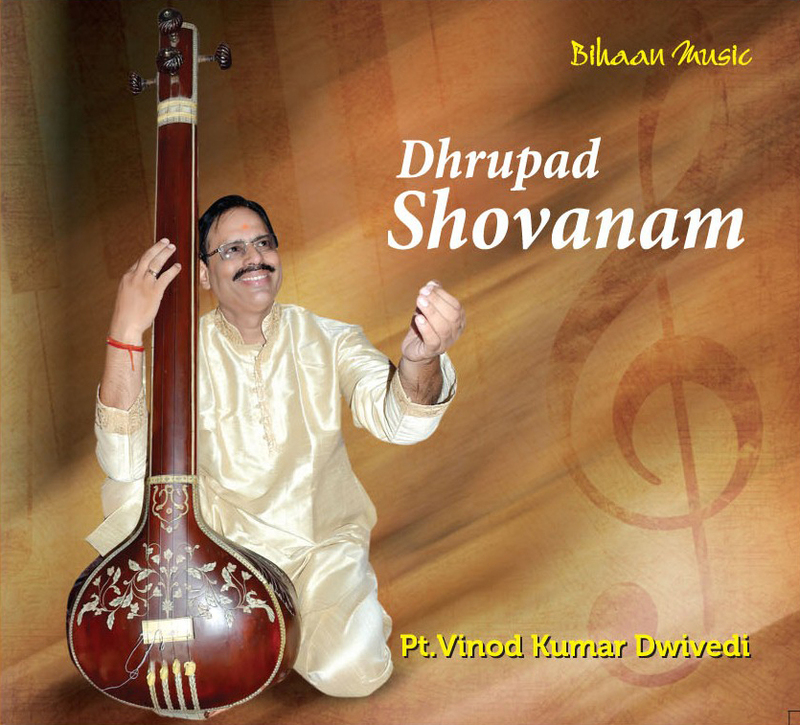 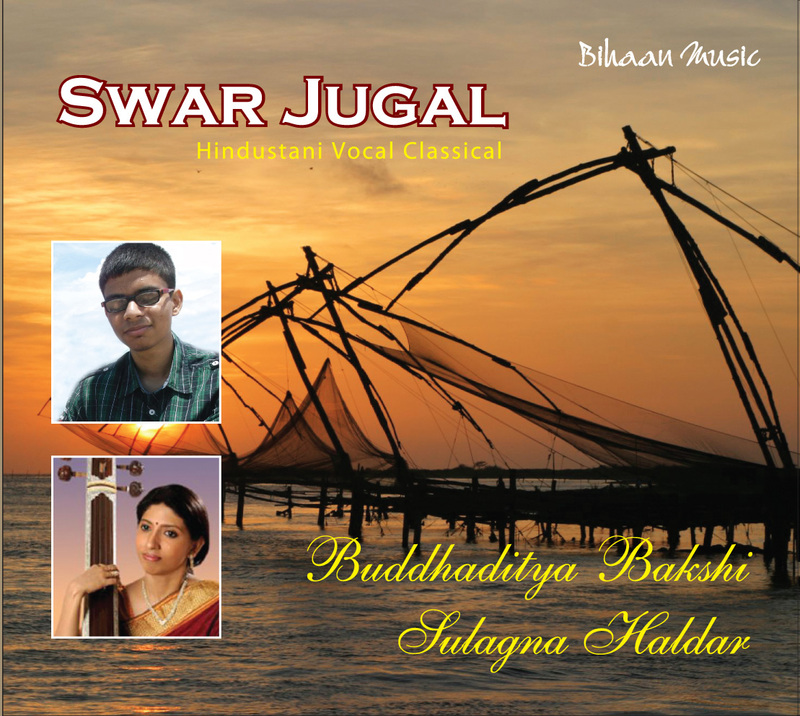 He has Participated in major concert at Madhav Sangeet Maha Vidyalaya, Gwalior, Bharatiya Nritya Kalamandir,Patna, Swar Vilas, Vadodara, in Gujrat and Kala Prakash,Varanashi, ITC. 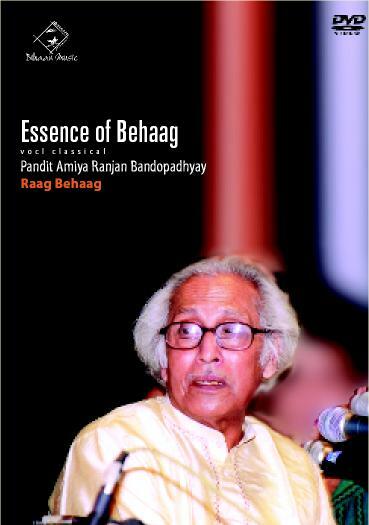 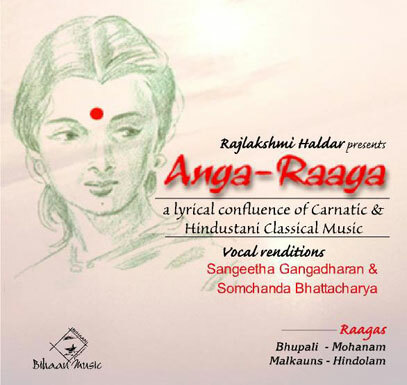 Sangeet Research Academy Sangeet Sammelan, Goa, Guwahati, Bangalore, Nasik, Bhubaneshyar, Karat, Pune, Agra, Lucknow, Digboi, Mumbai, . 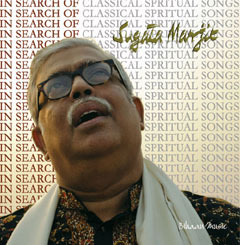 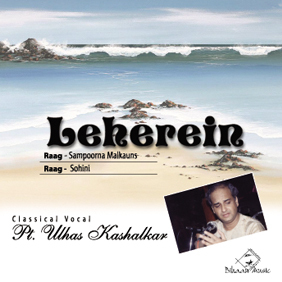 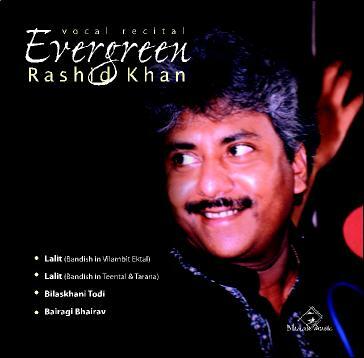 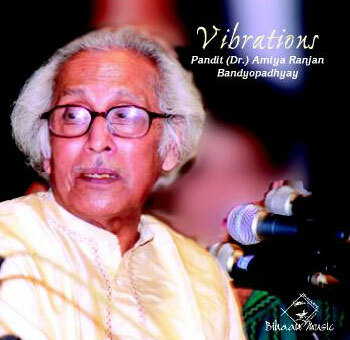 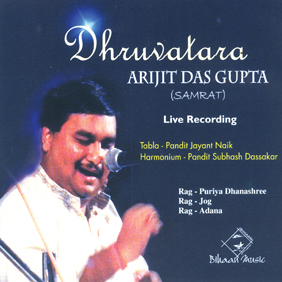 In February 2005 he toured Dhaka, in Bangaladesh with his solo vocal performance. 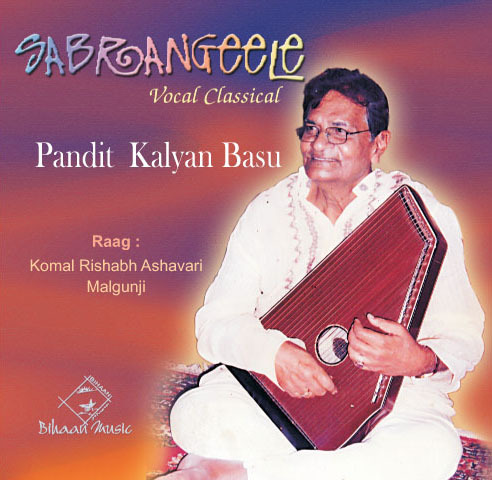 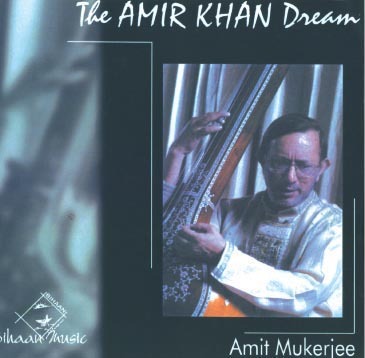 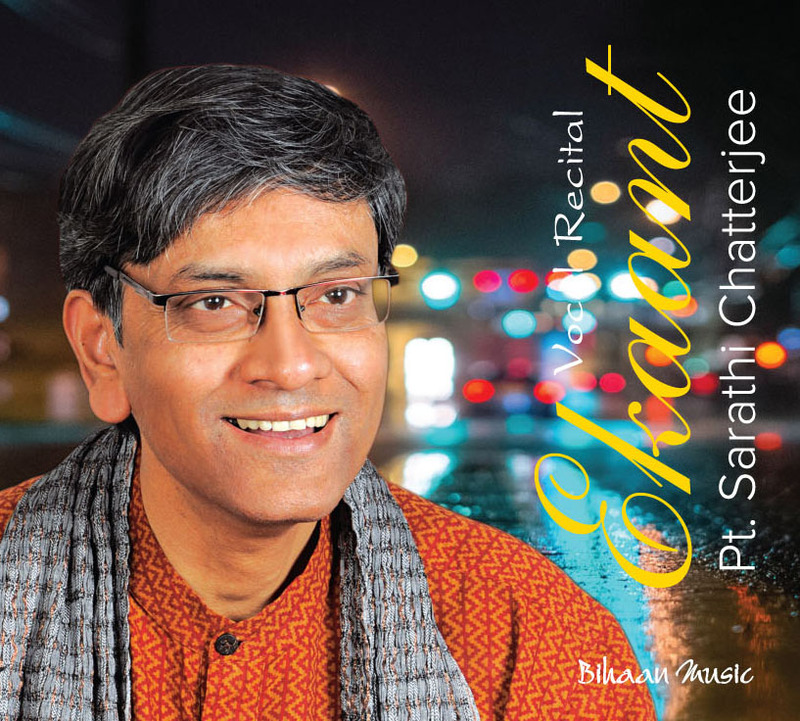 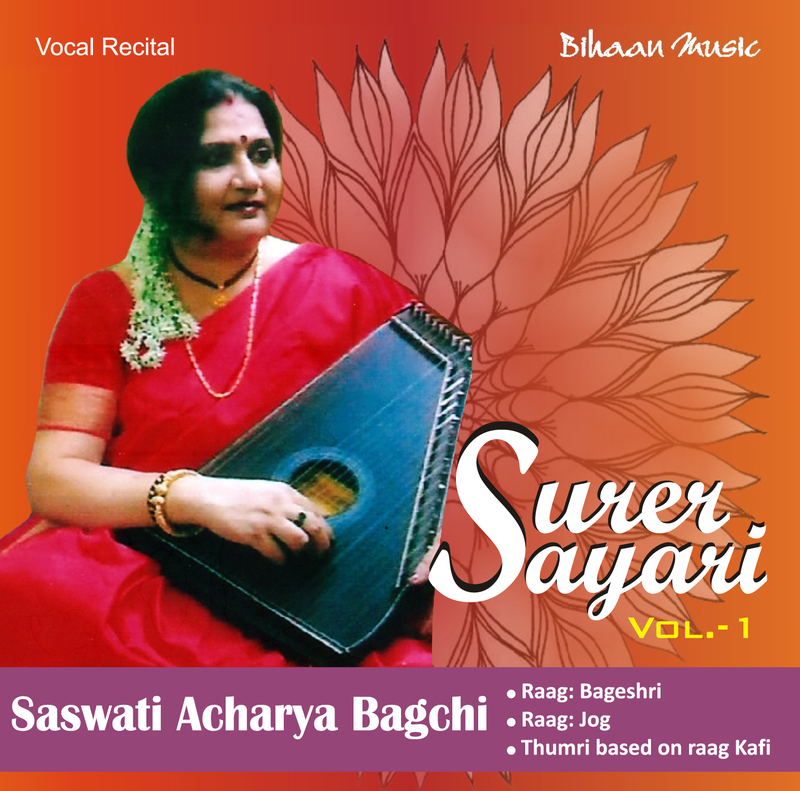 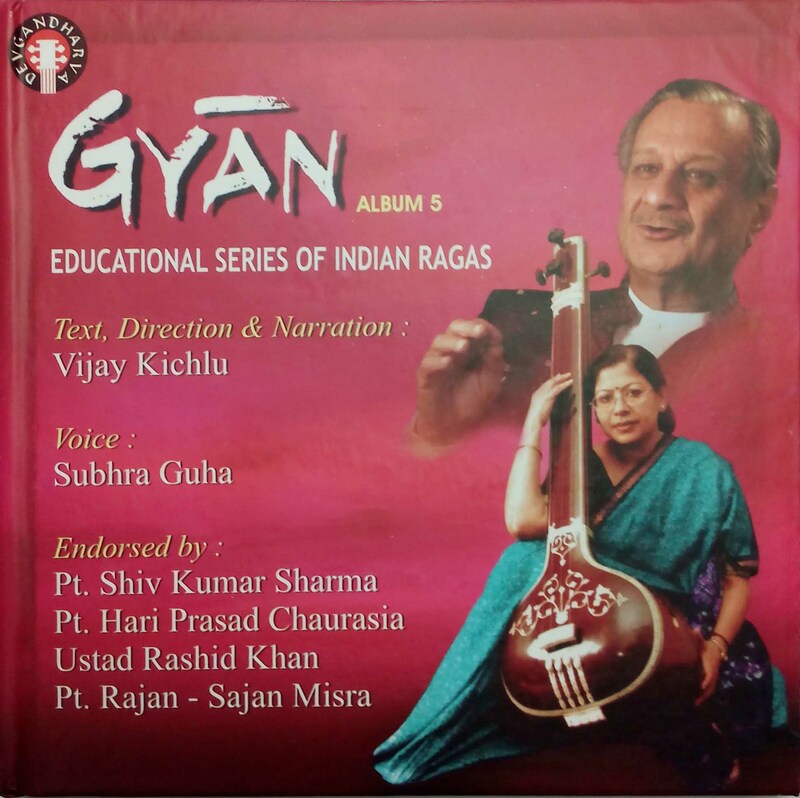 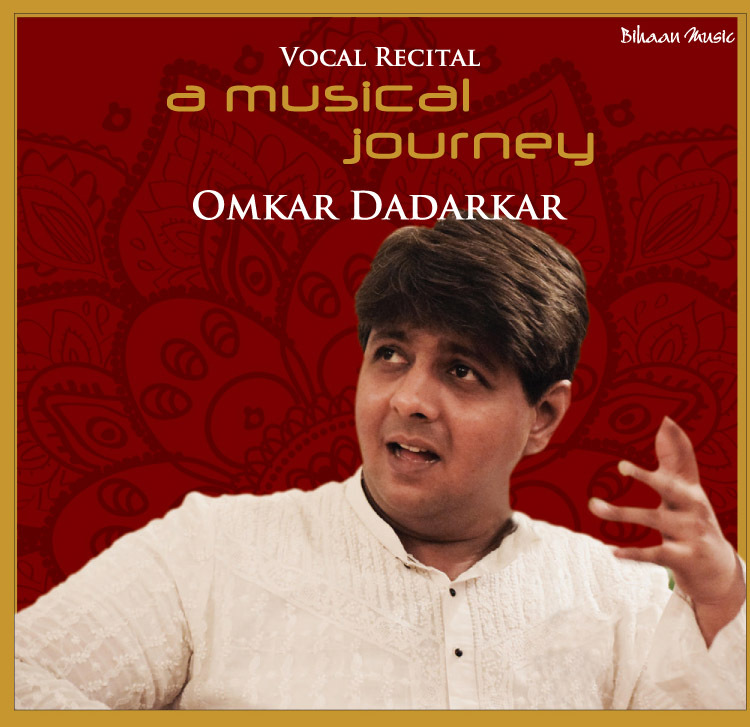 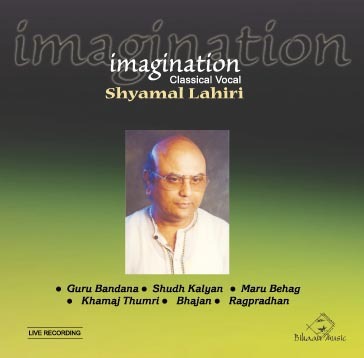 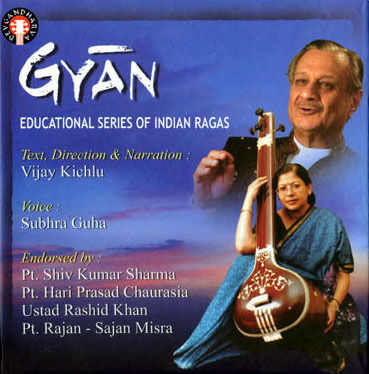 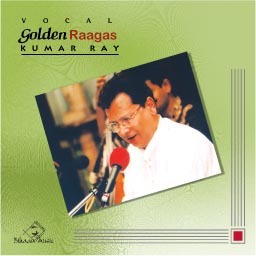 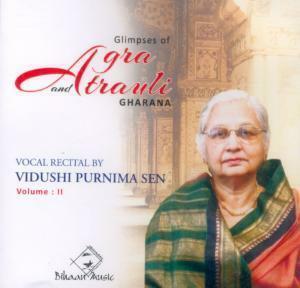 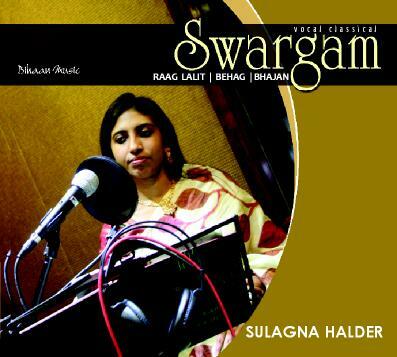 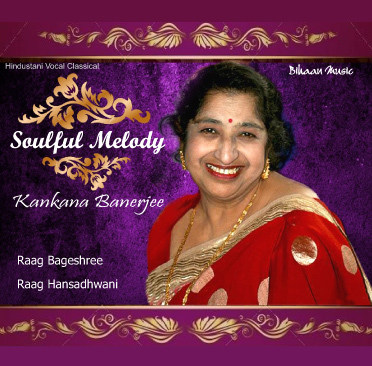 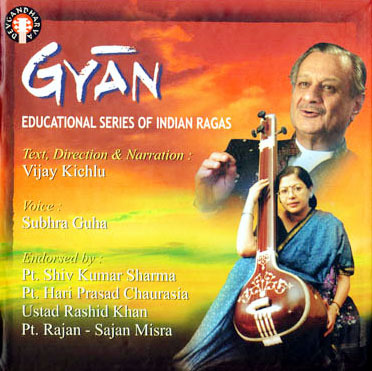 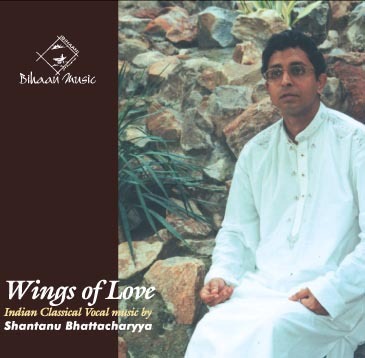 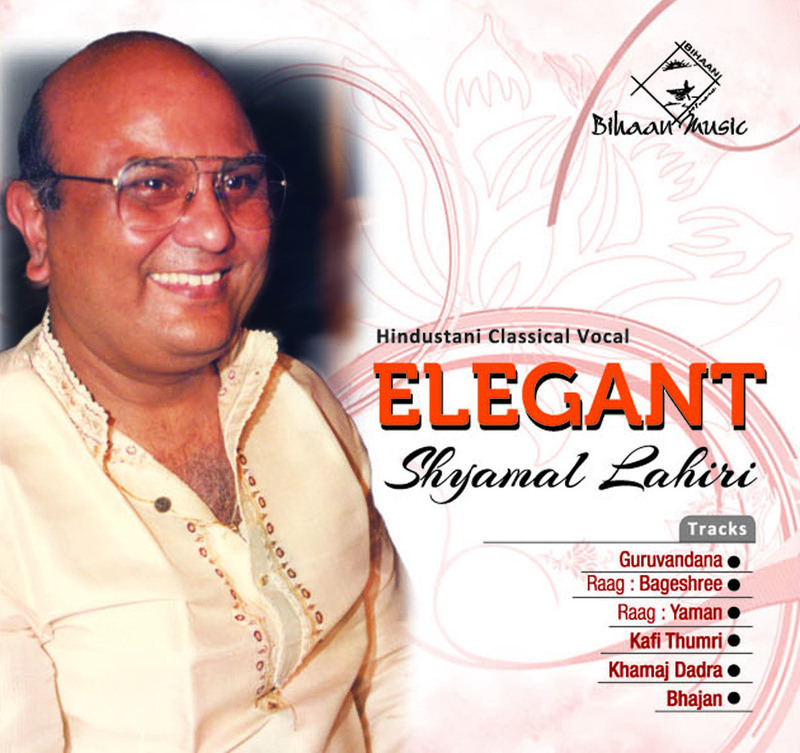 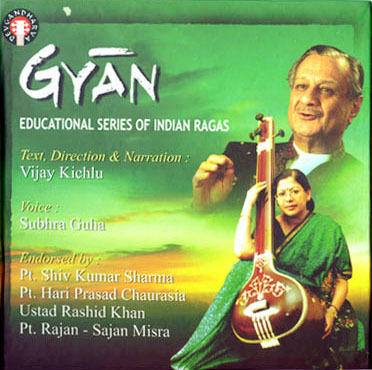 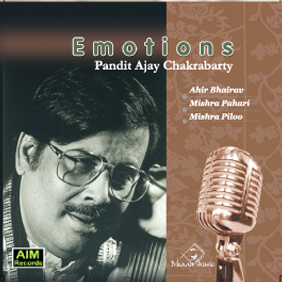 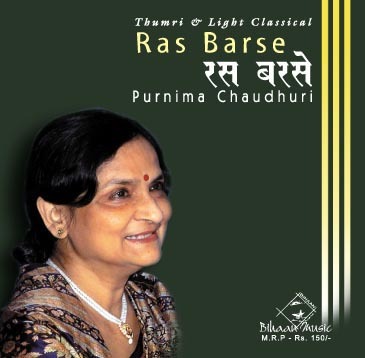 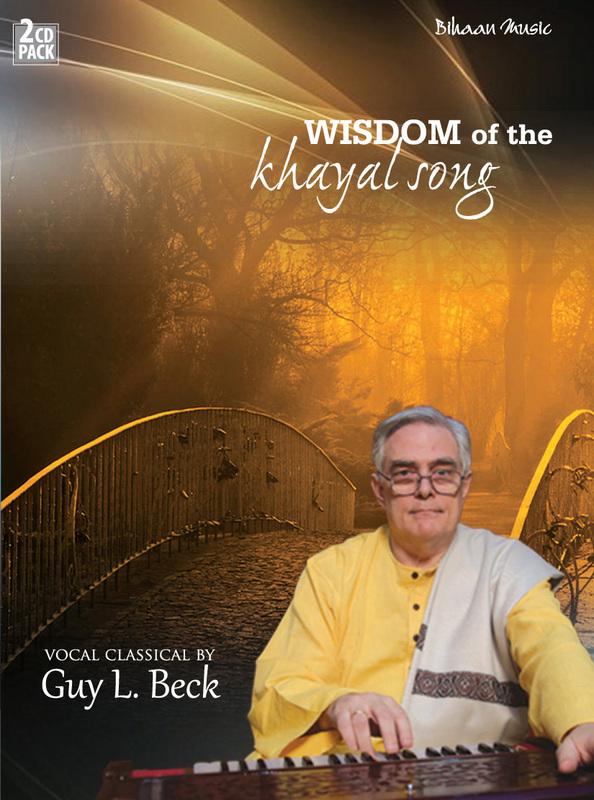 In September 2006 he accompanied the ITC Sangeet Research Academy Musicians touring USA, with his vocal performance there receiving a huge appliance from the audience specially for his individual talent. 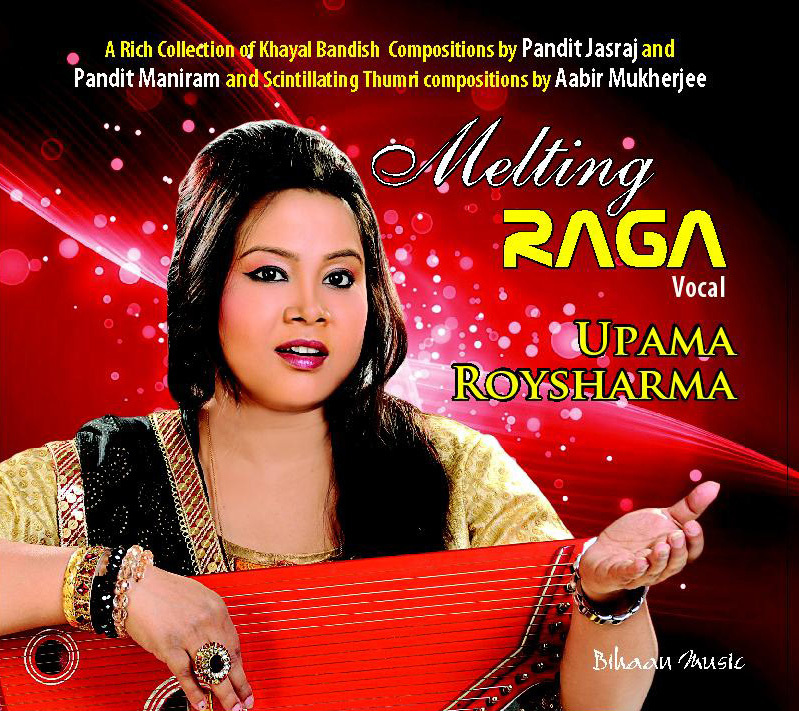 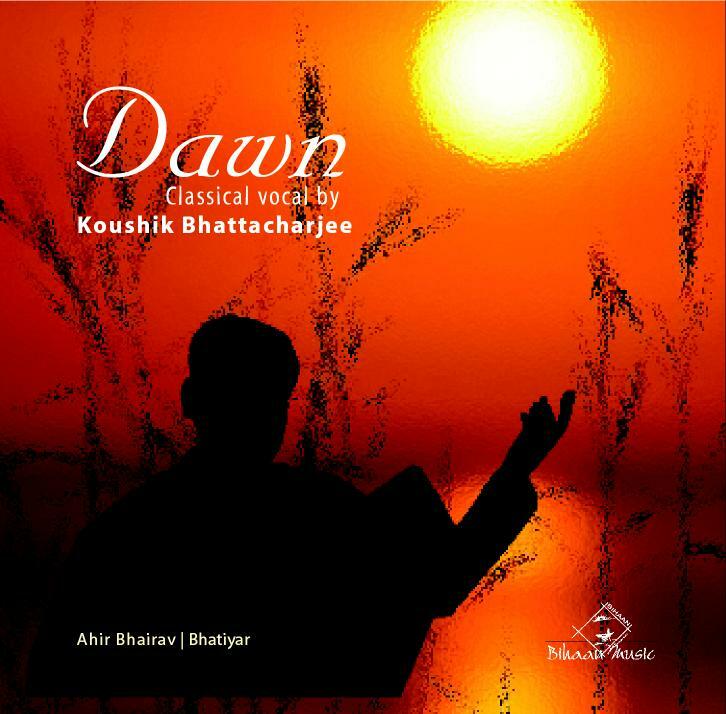 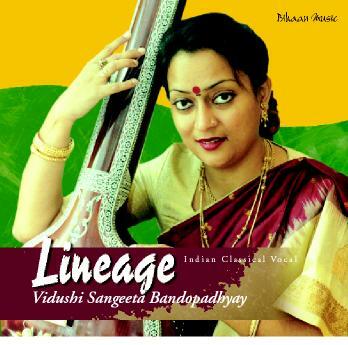 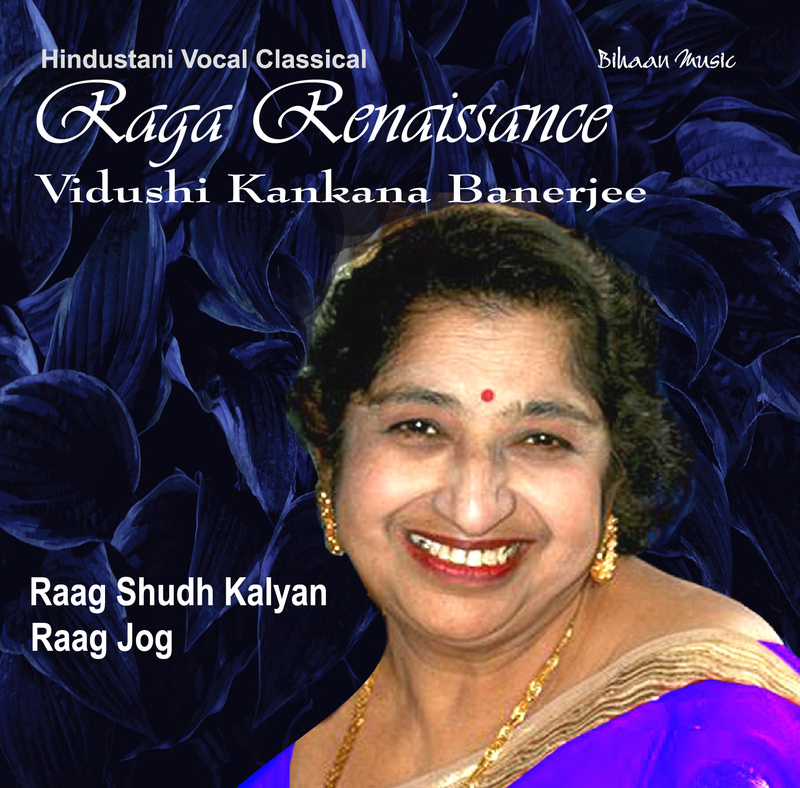 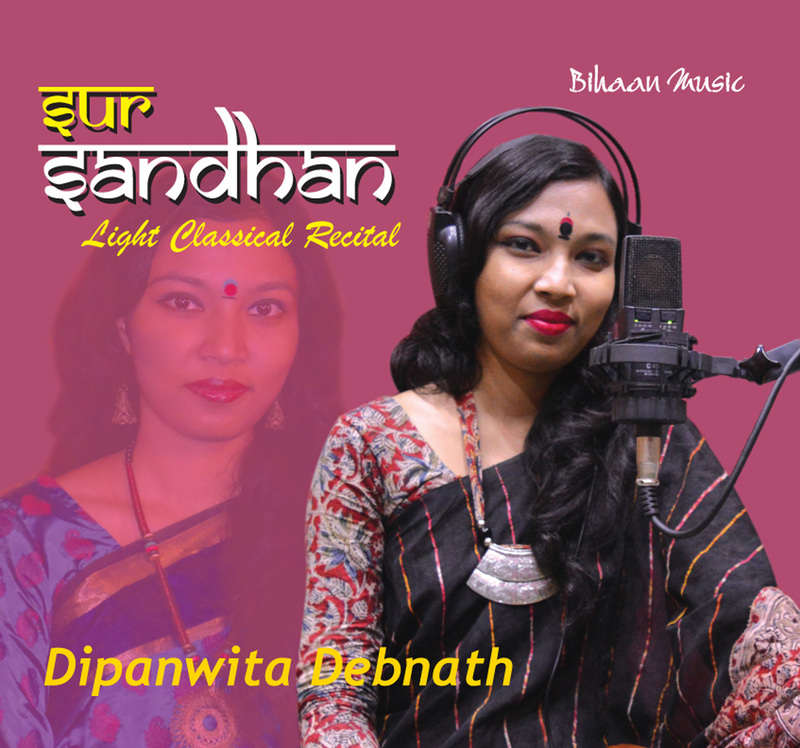 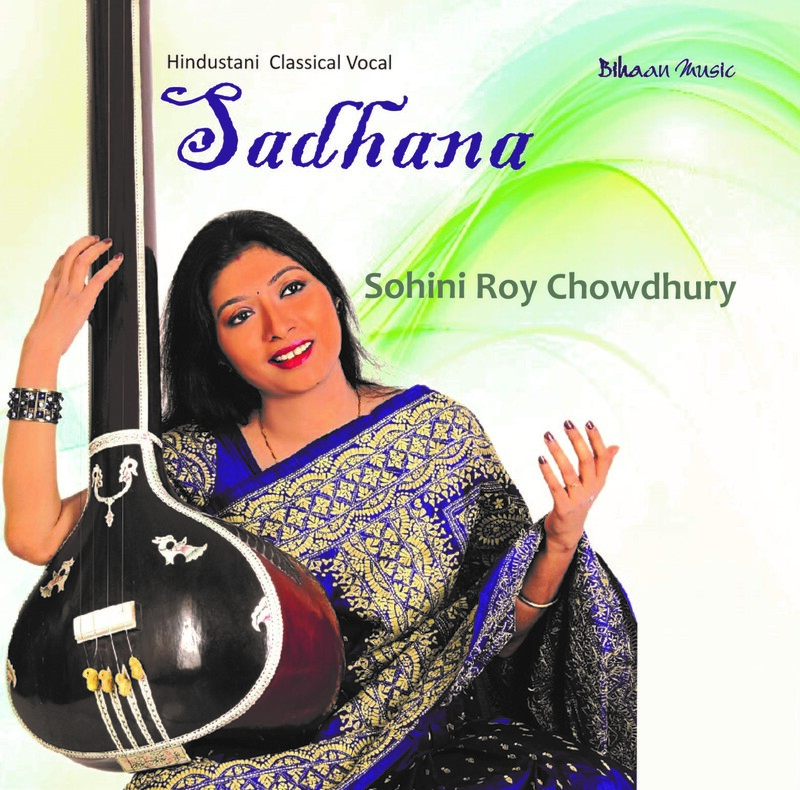 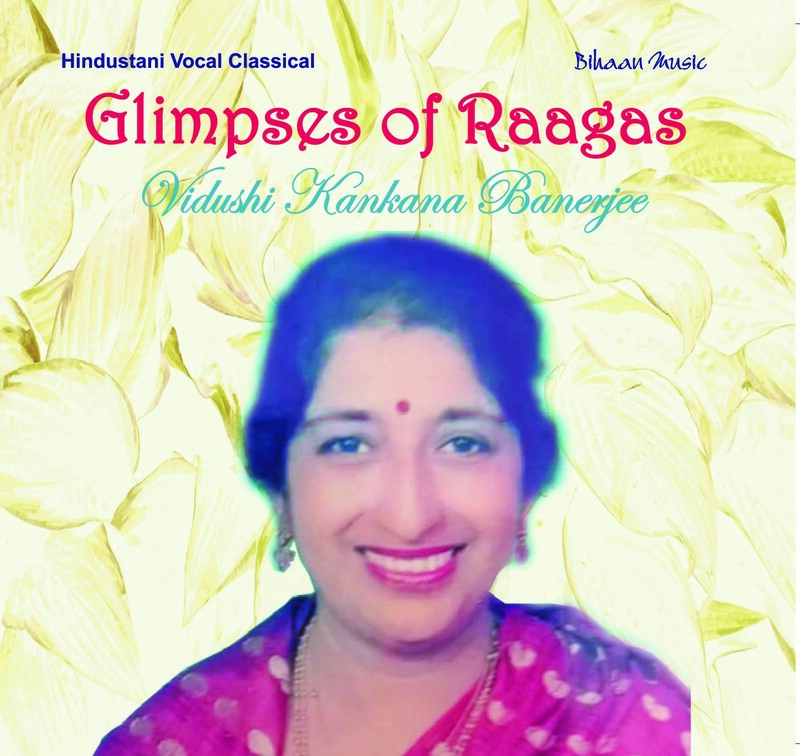 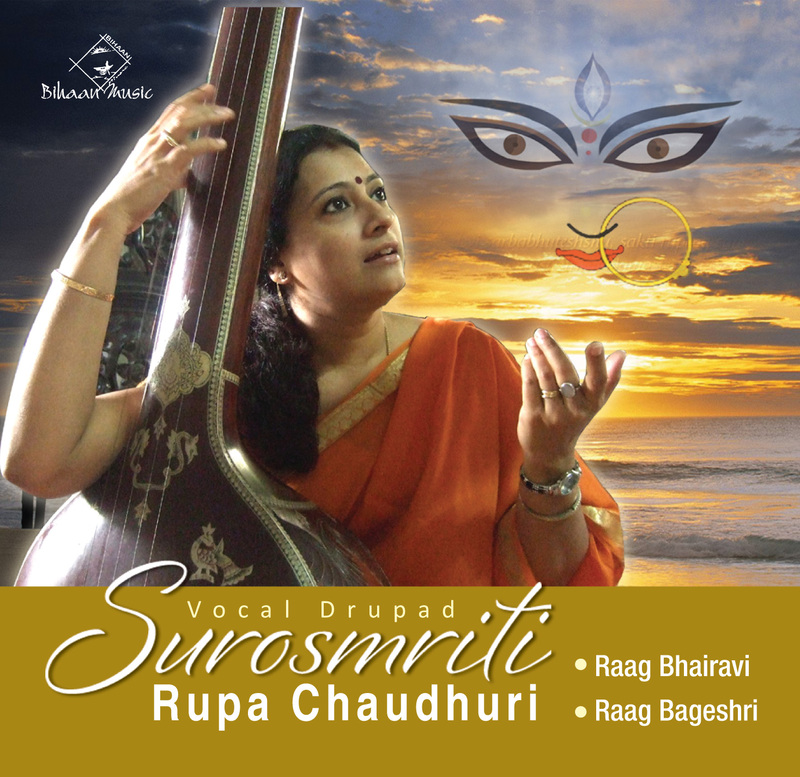 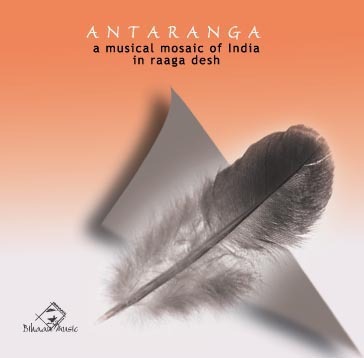 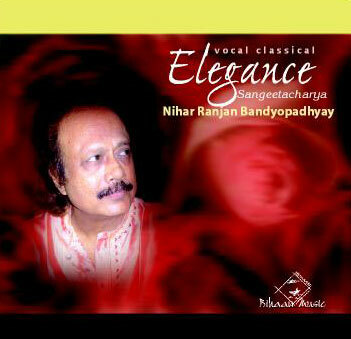 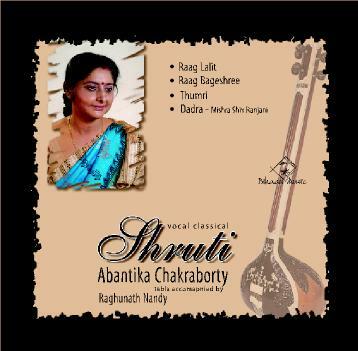 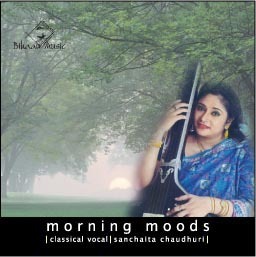 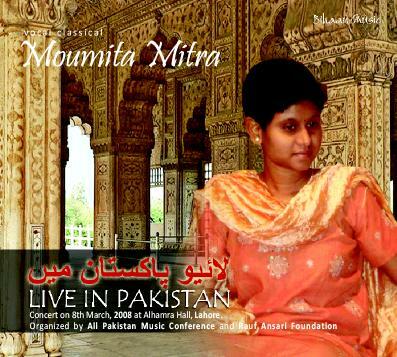 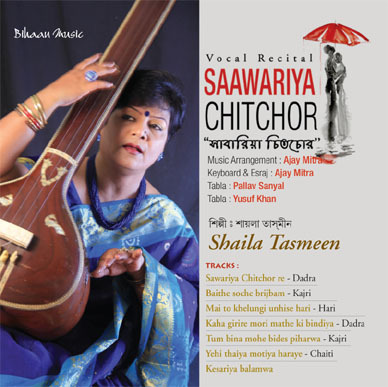 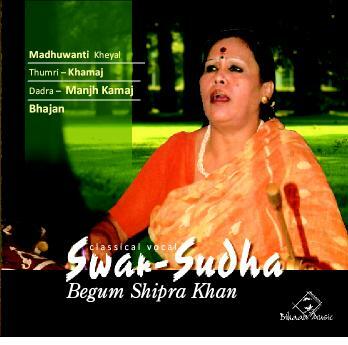 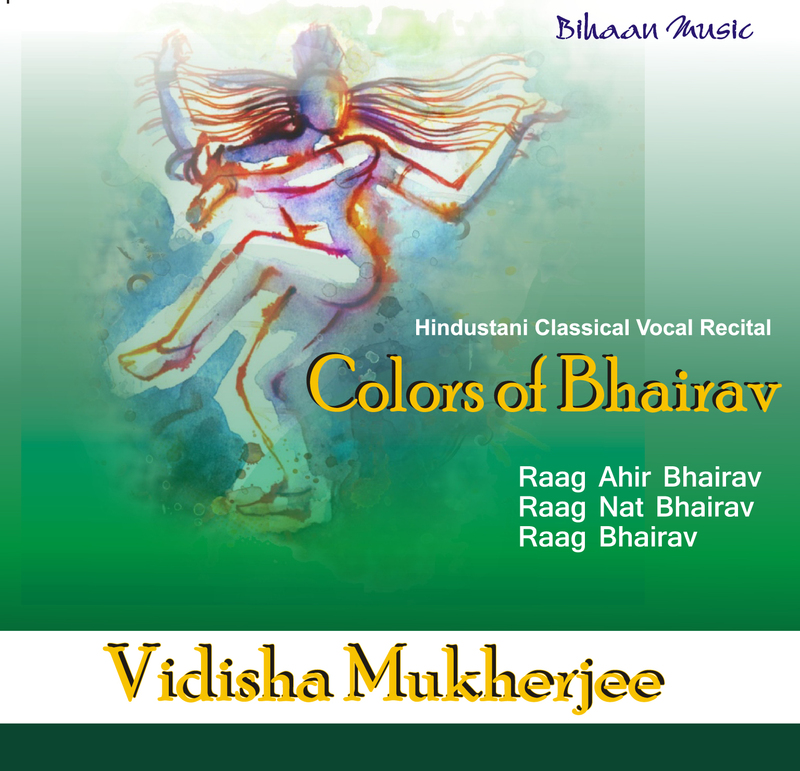 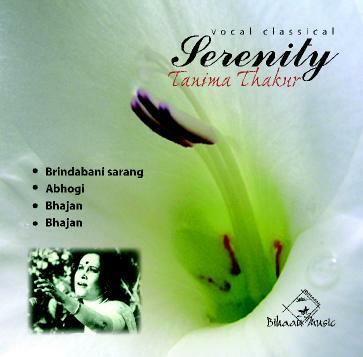 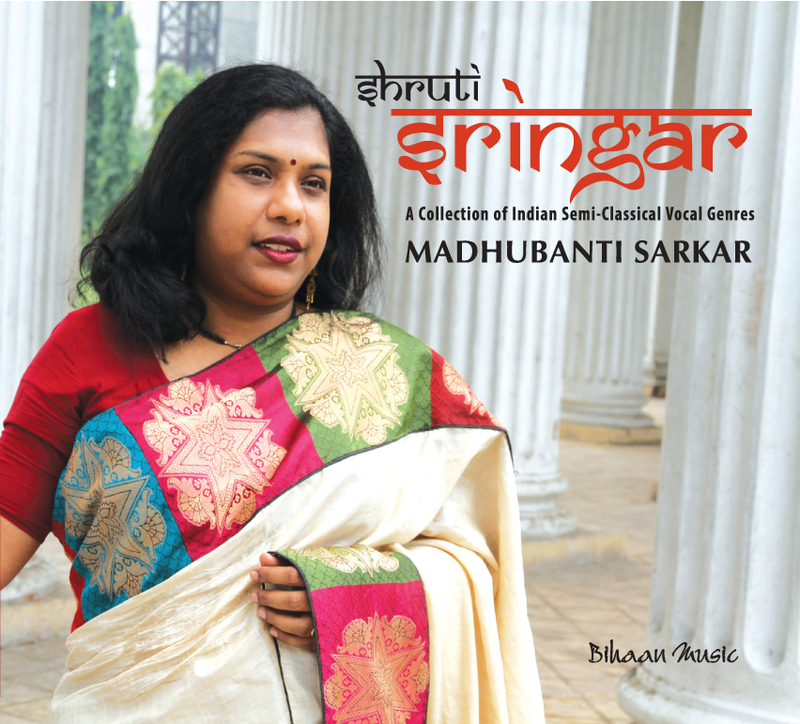 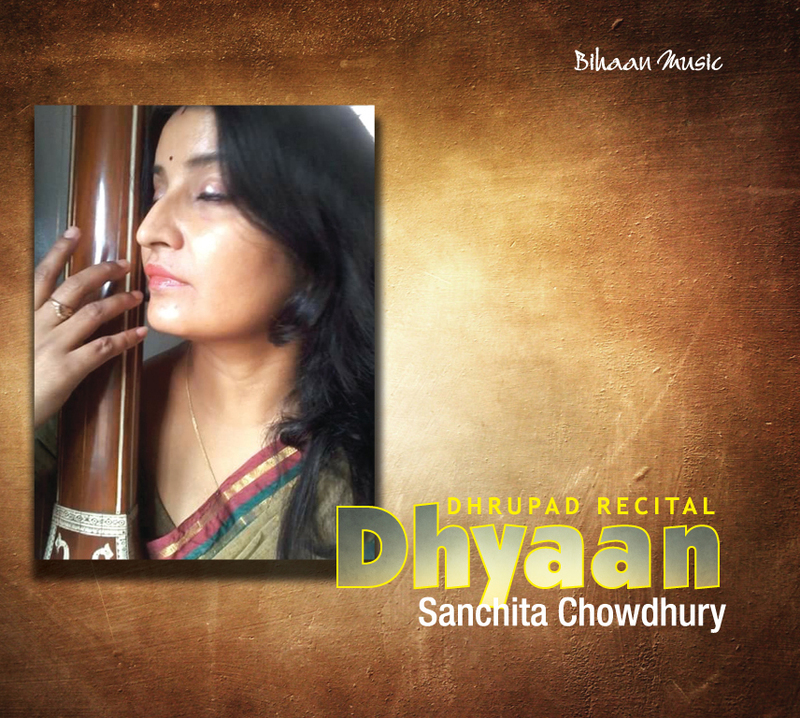 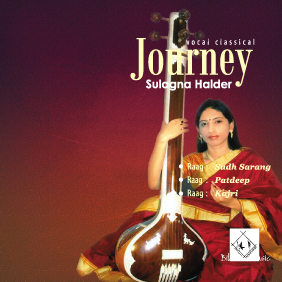 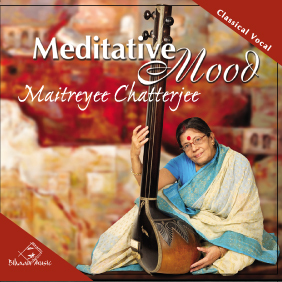 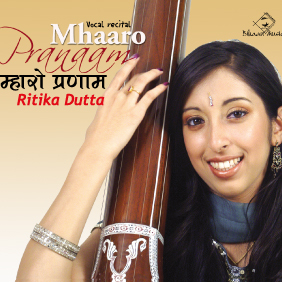 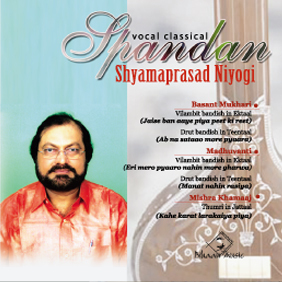 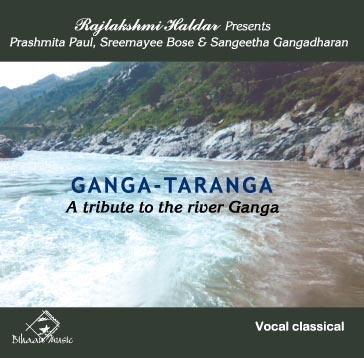 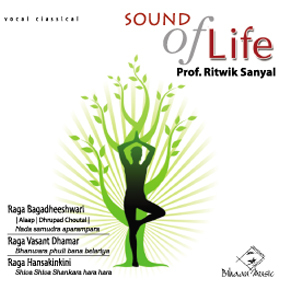 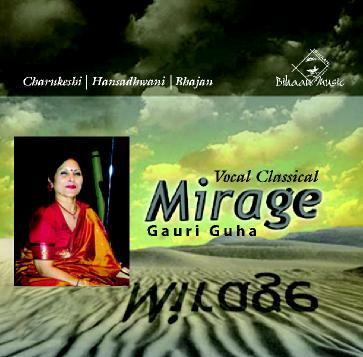 Accompanying the ITC SRA group as well as concerts in Bangladesh and Europe, (2011). 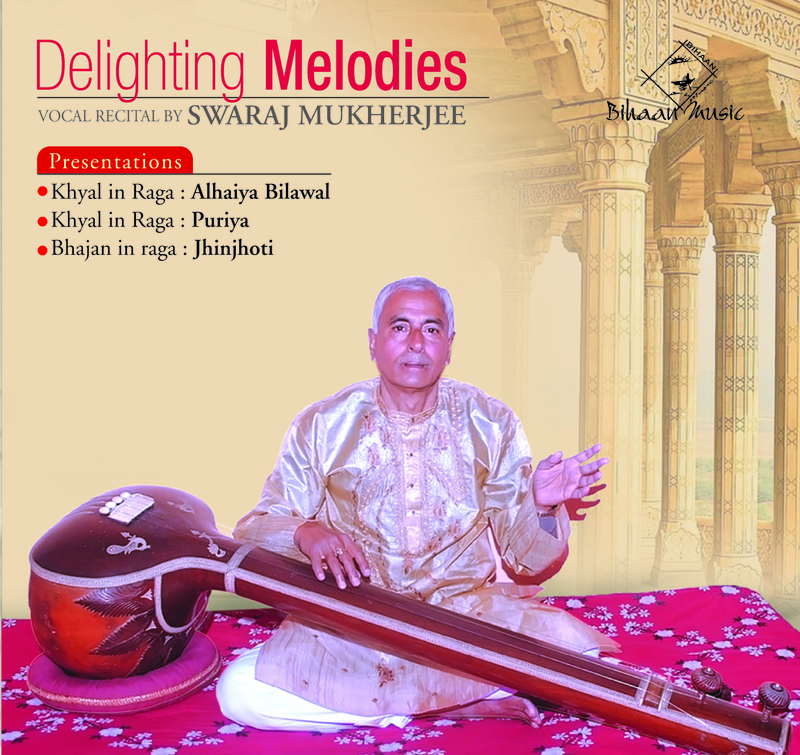 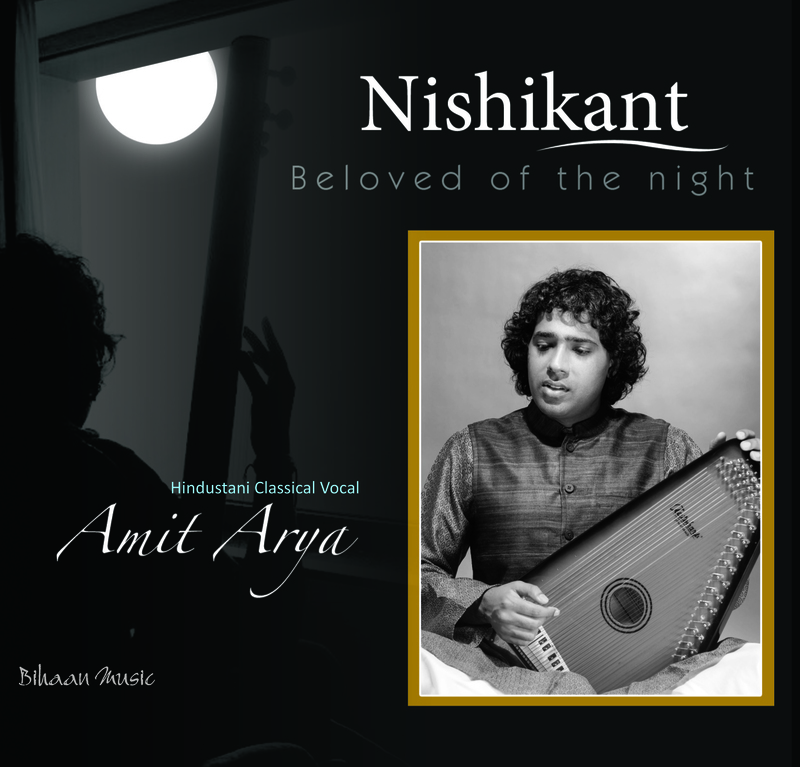 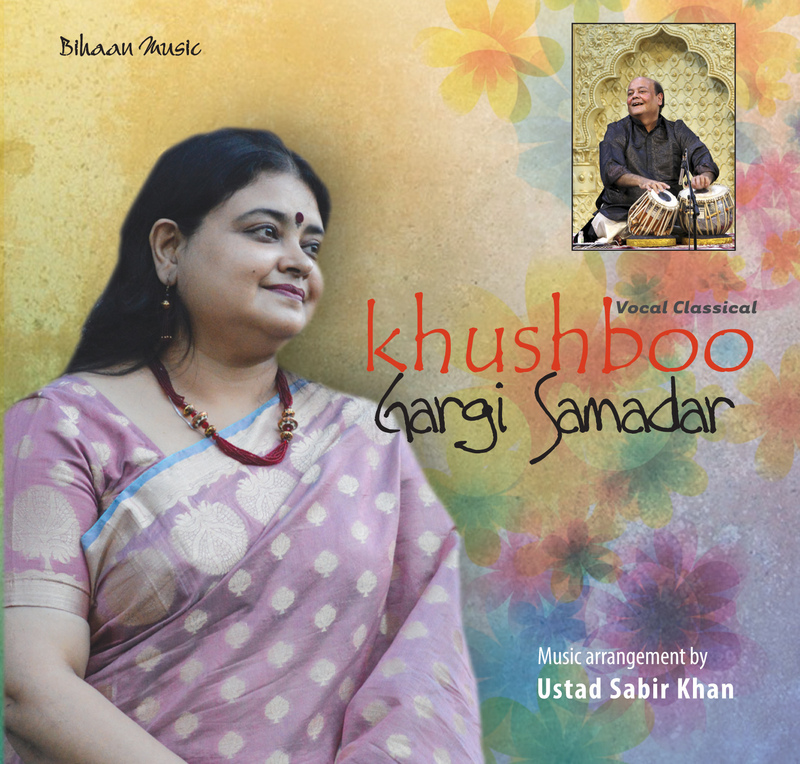 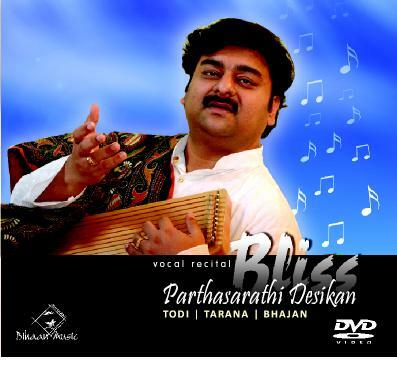 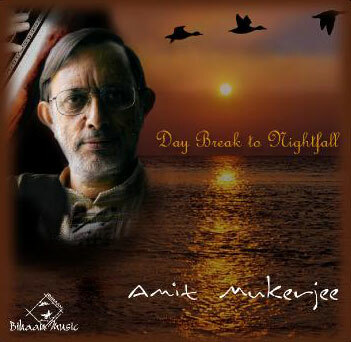 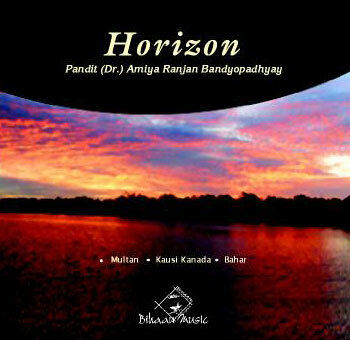 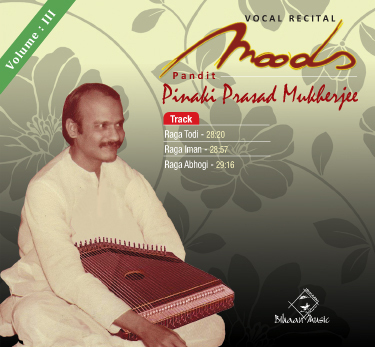 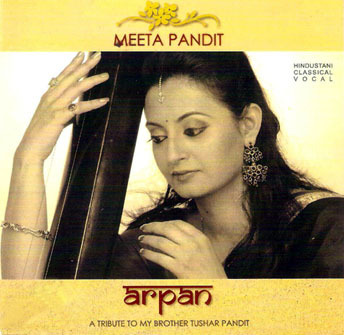 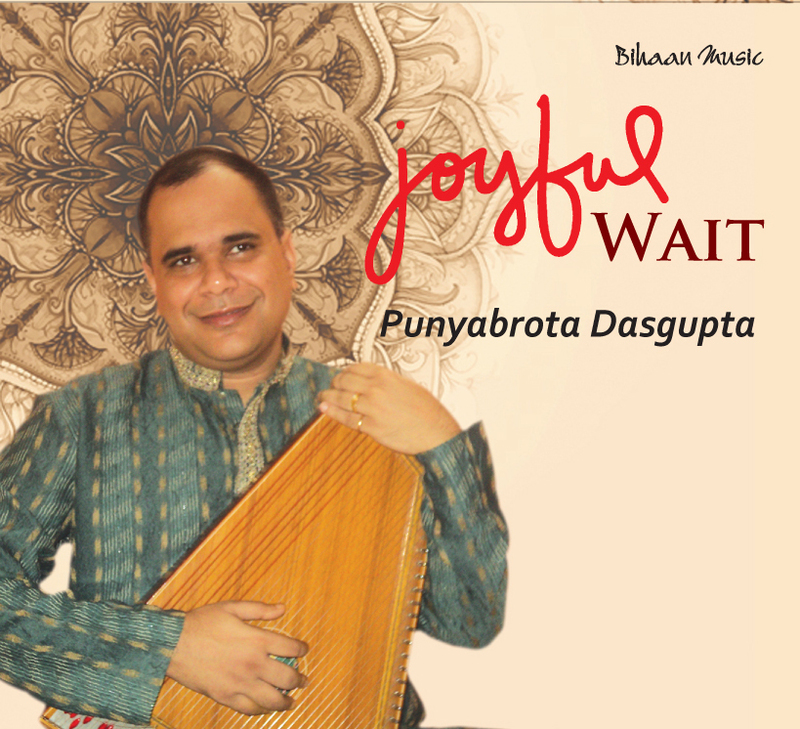 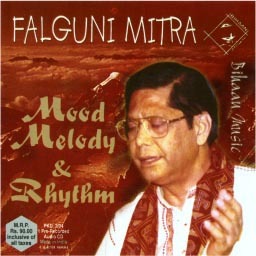 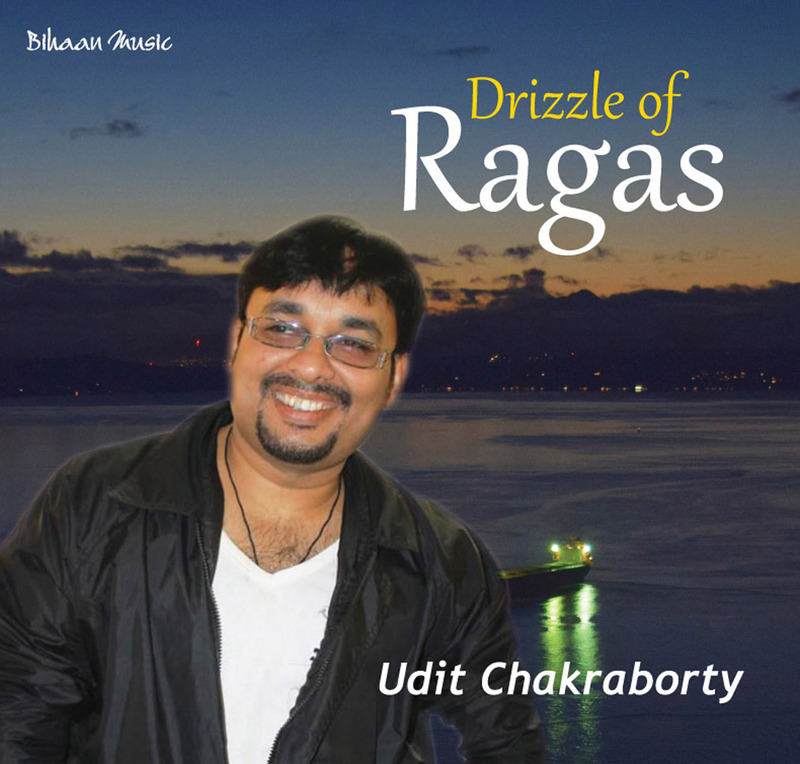 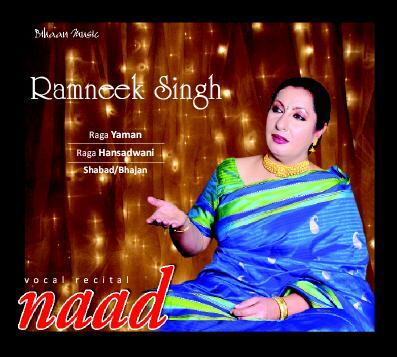 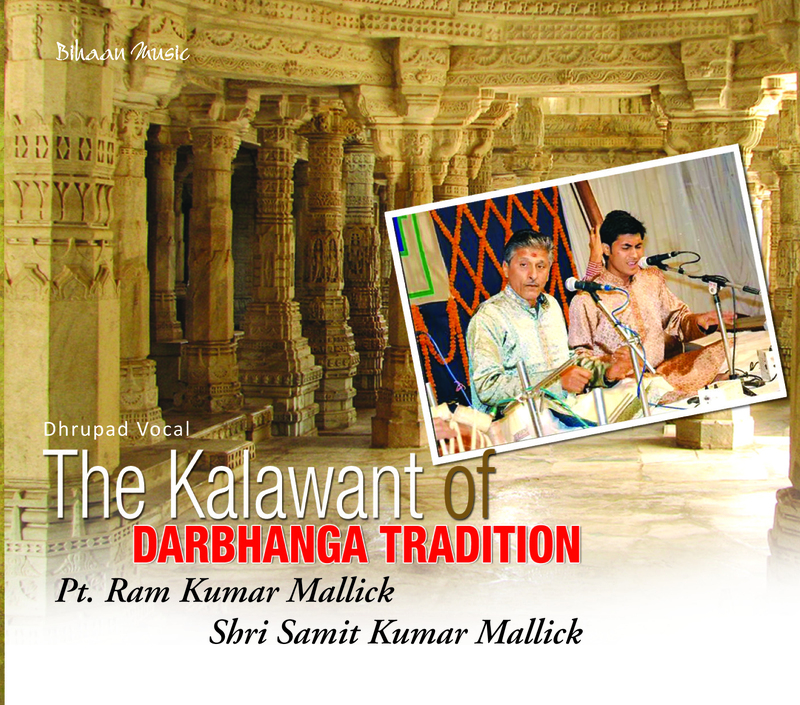 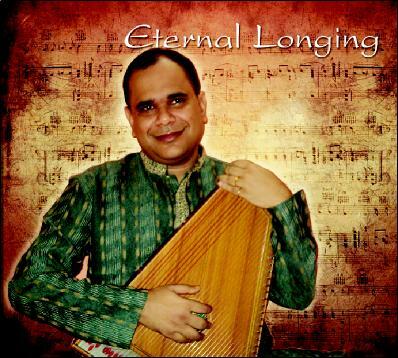 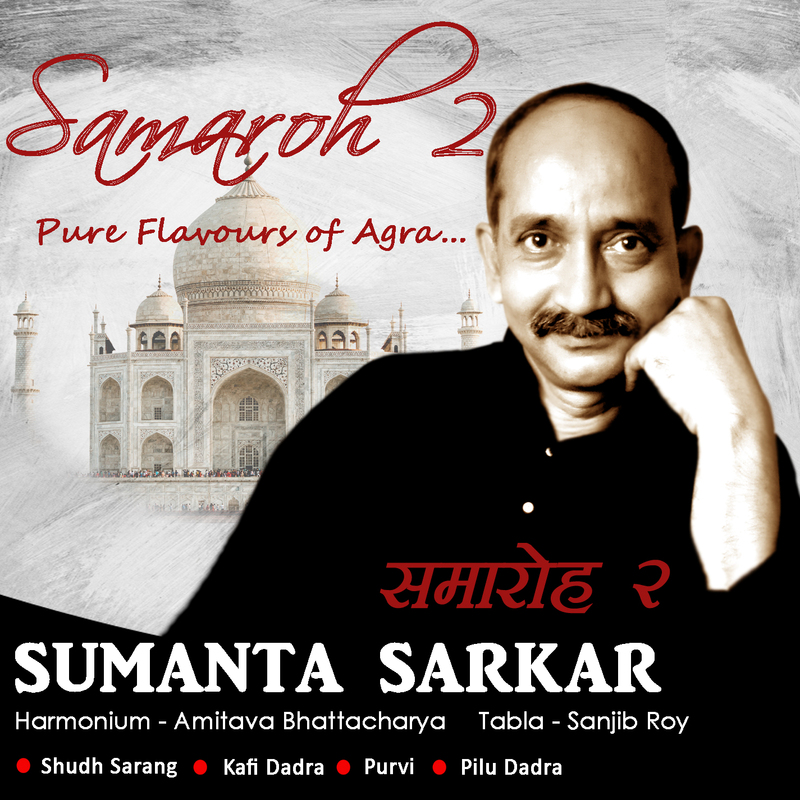 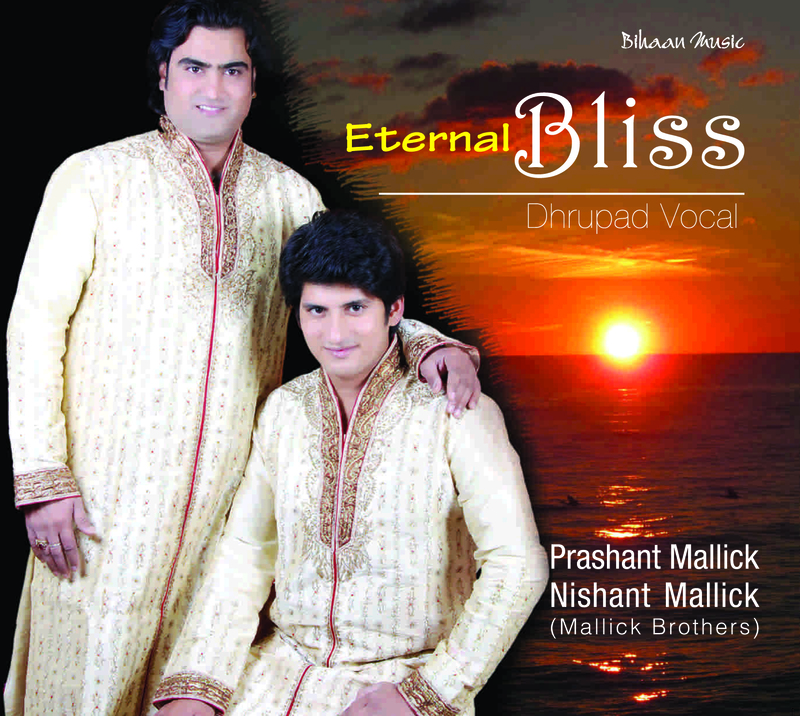 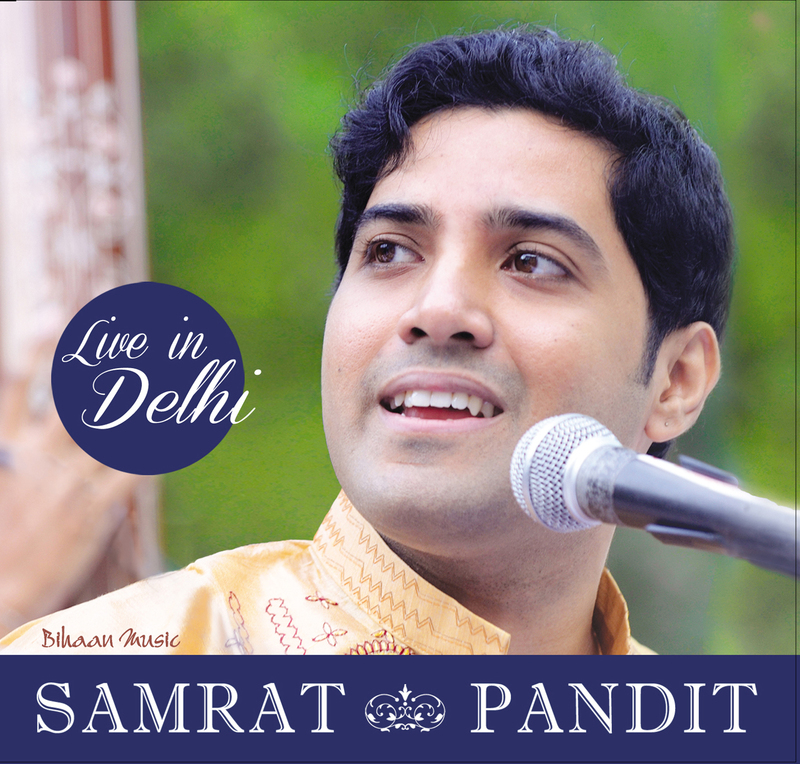 In December 2006 he performed at the ITC Sangeet sammelen at Raipur and in November2011 in Kolktata. 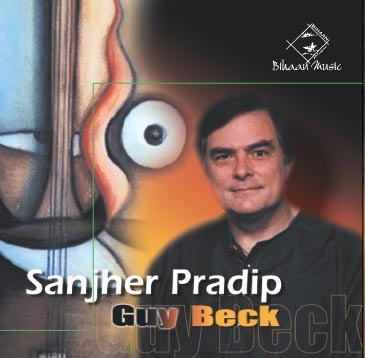 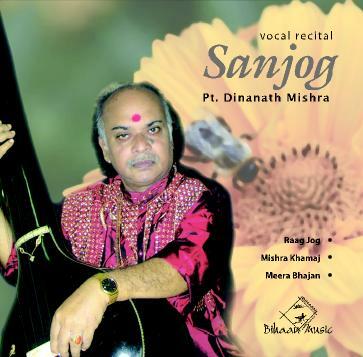 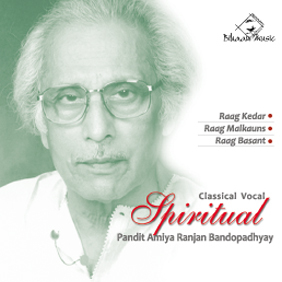 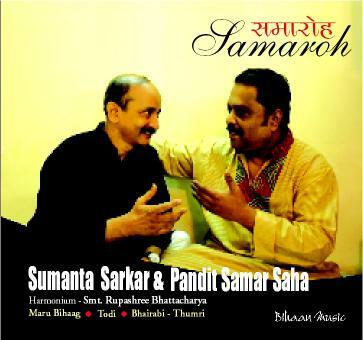 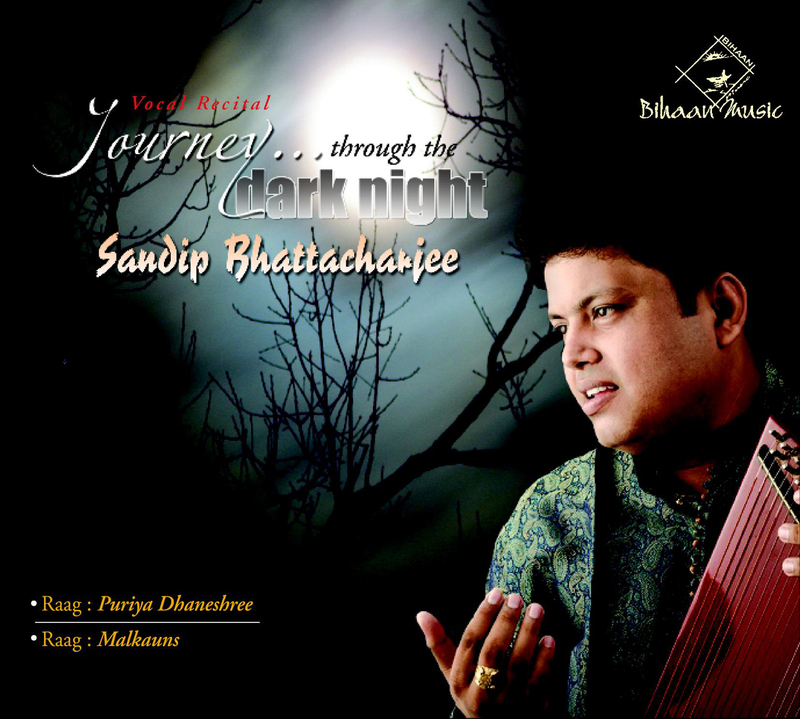 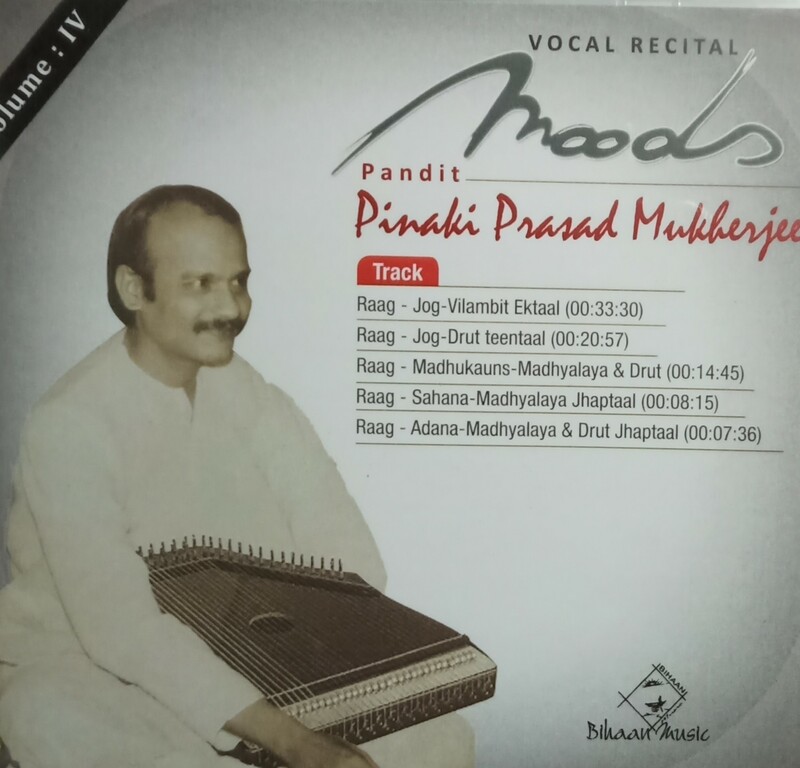 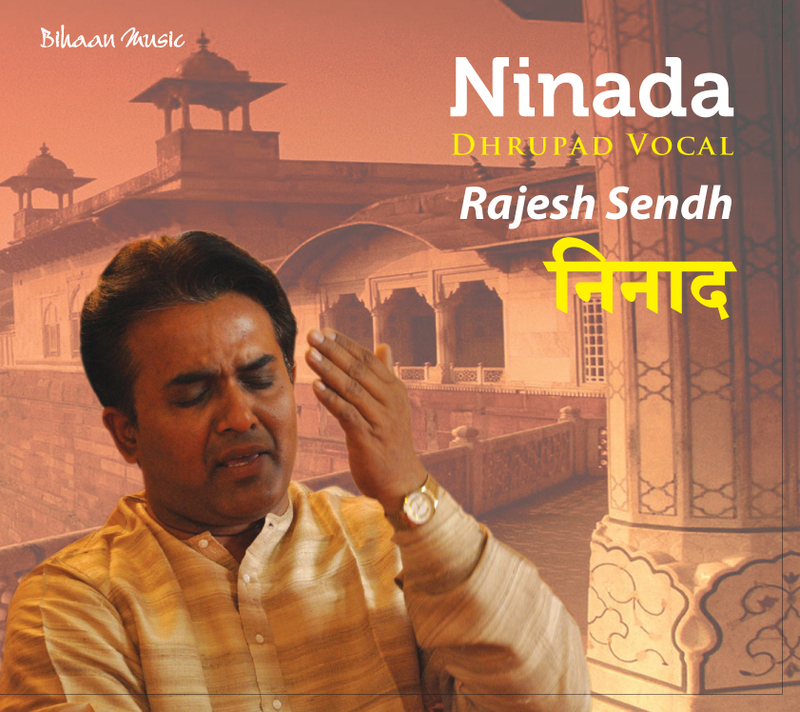 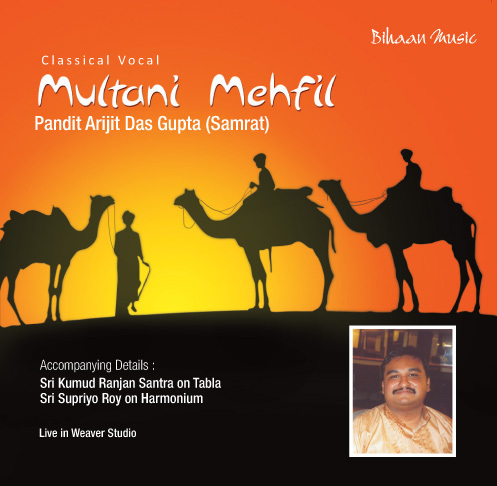 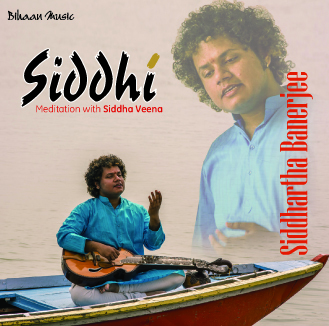 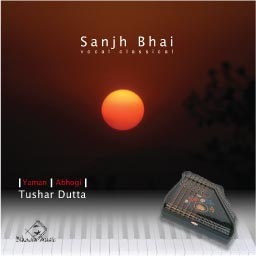 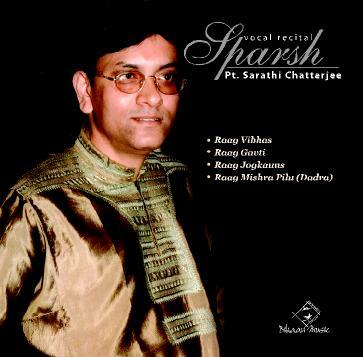 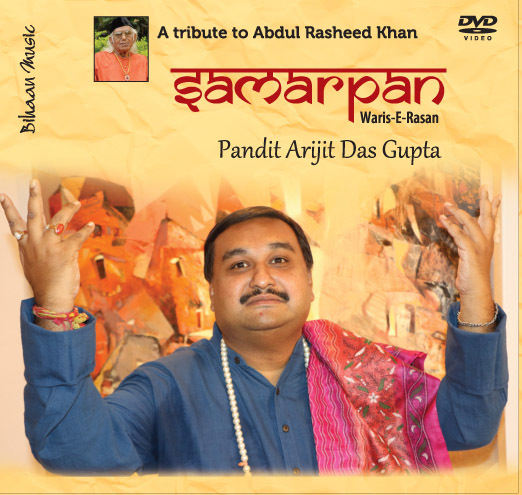 Sandip also has to his credit 3 commercial releases - a CD on khayal by Sonic Octaves, Mumbai, a CD of Bengali songs by R.P Techvision, Kolkata and a CD on Bhajan by Sonic Octaves, Mumbai He was awarded the title of “Sur Mani “by the Sur Singer Samsad, Mumbai. 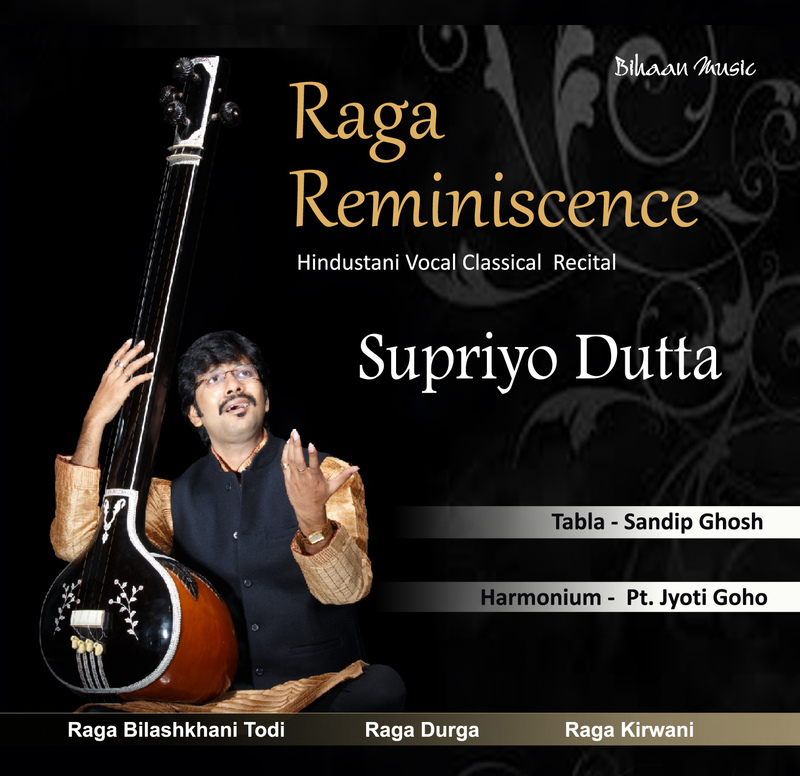 Sandip also regularly conducts workshops in Guwahati & Digboi, Assam. 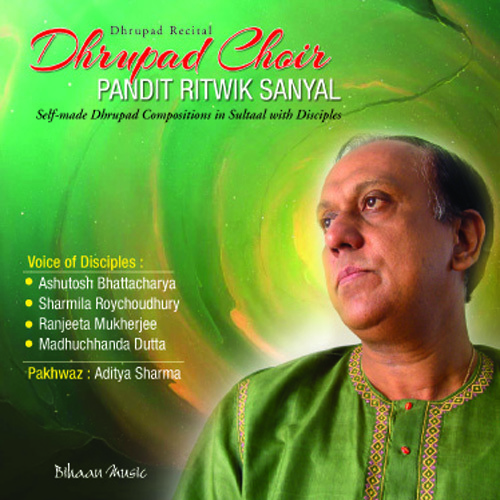 Sandip has been a faculty at AAICM in New York since 2013. 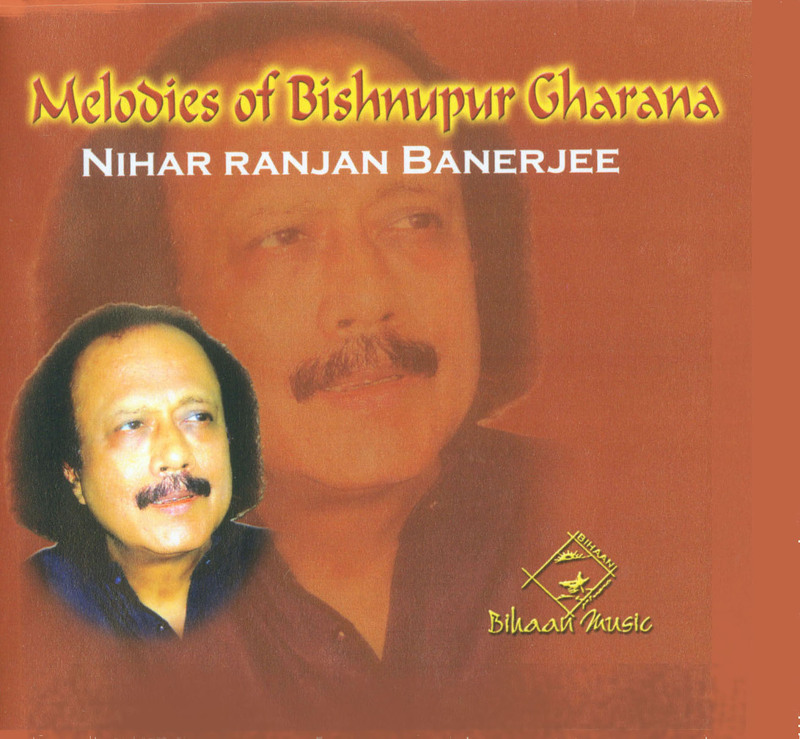 Residential Address:12/1 P.K.Bhattacharjee Road, Nediarpara, P.O. 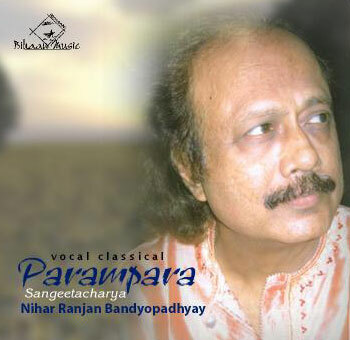 Krishnanagar, Dist. 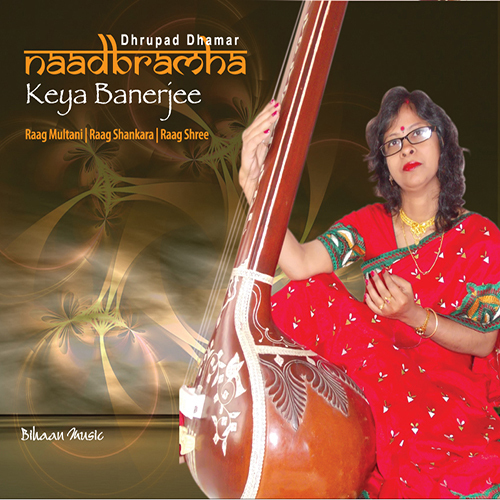 Nadia. 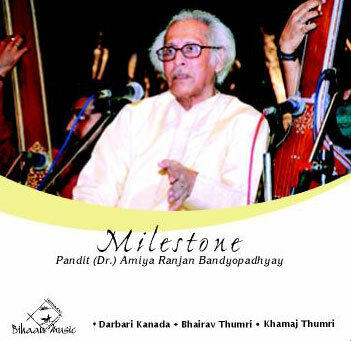 Pin 741101. 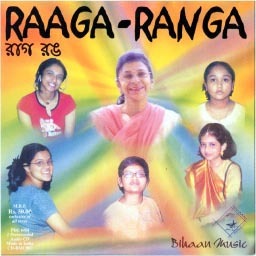 West Bangal. 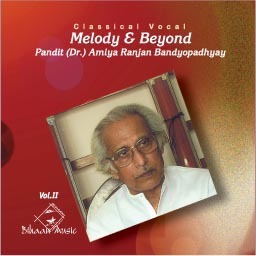 Ph- 03472-256250.